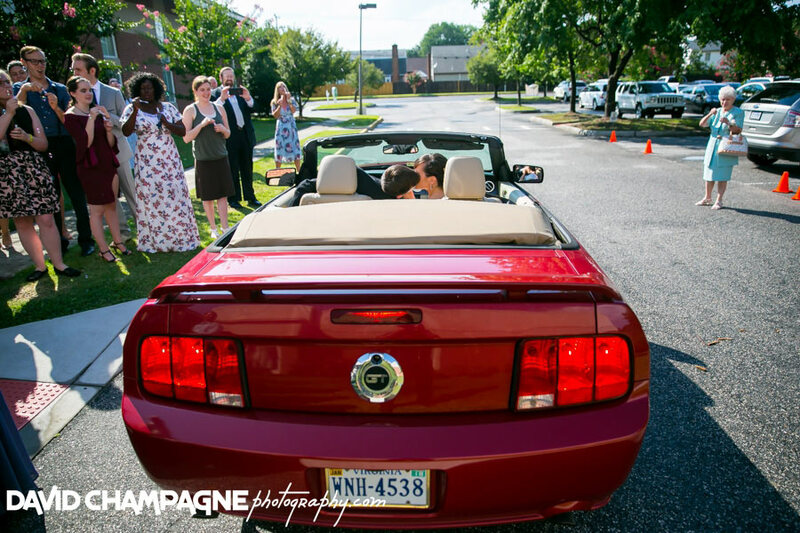 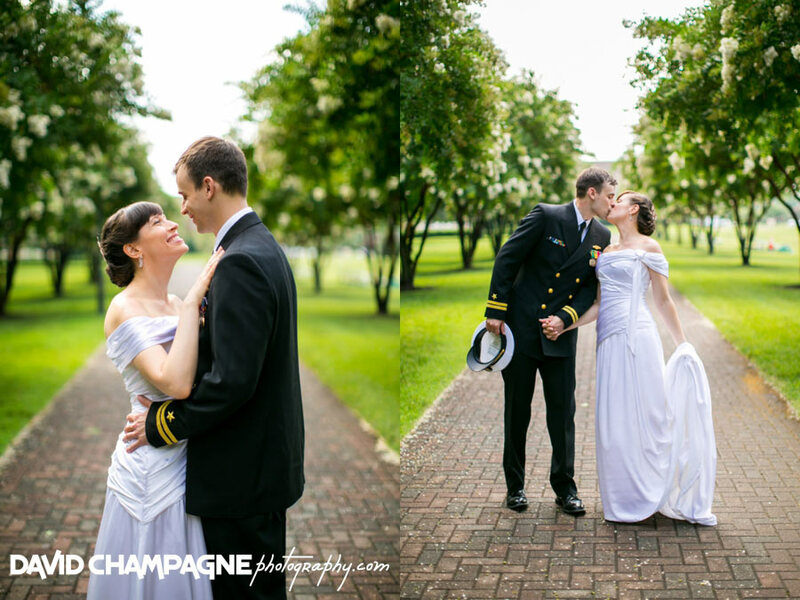 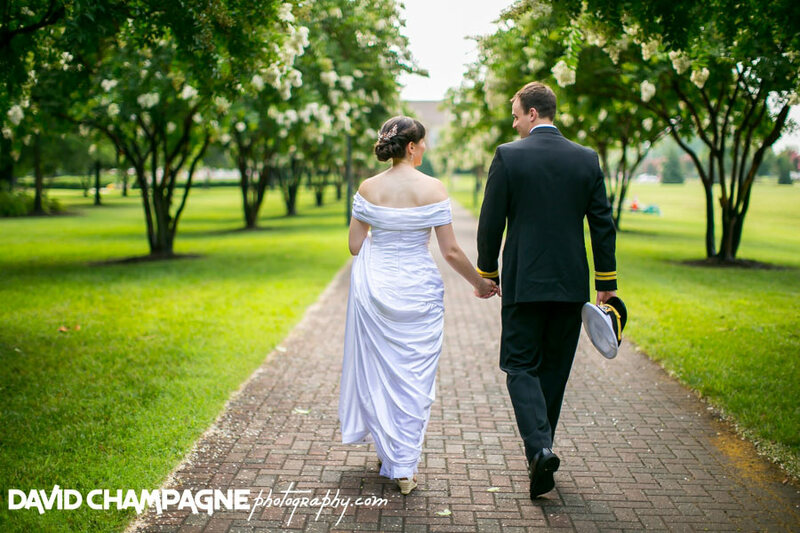 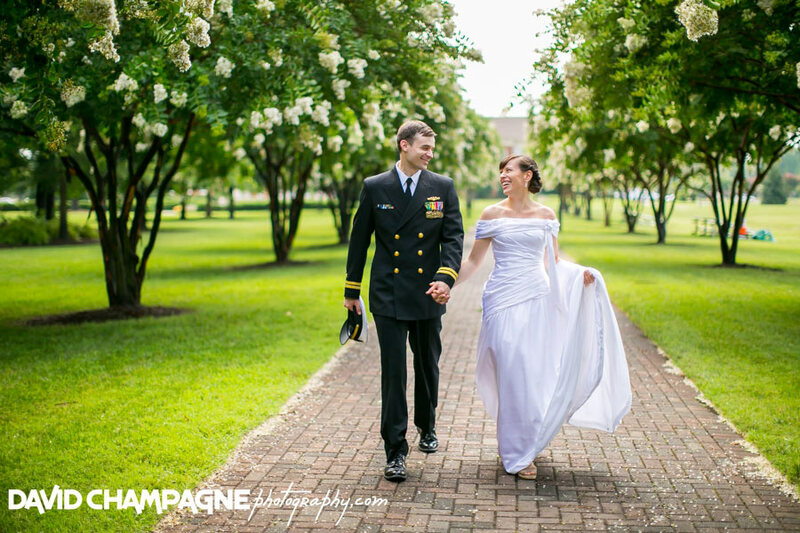 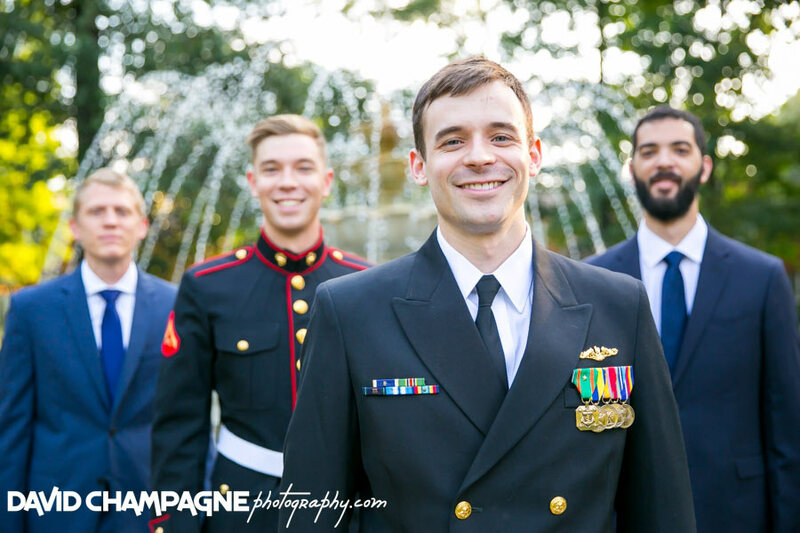 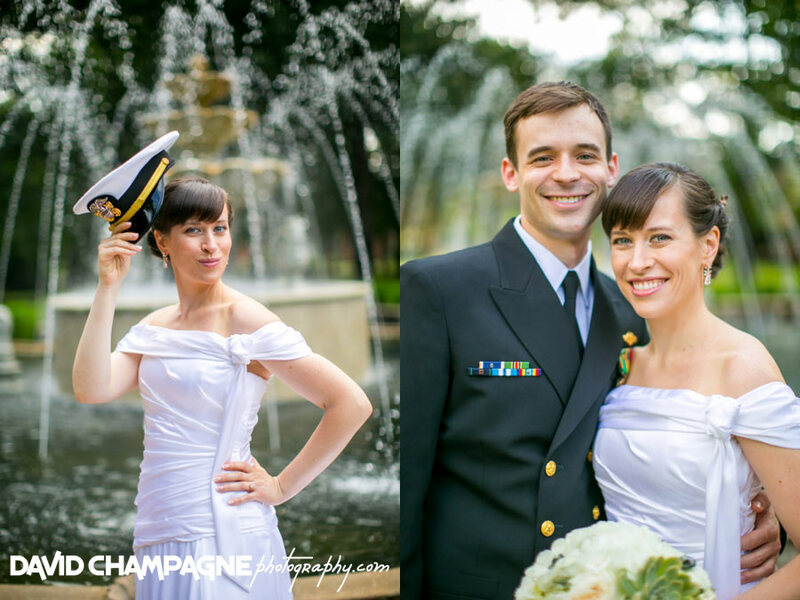 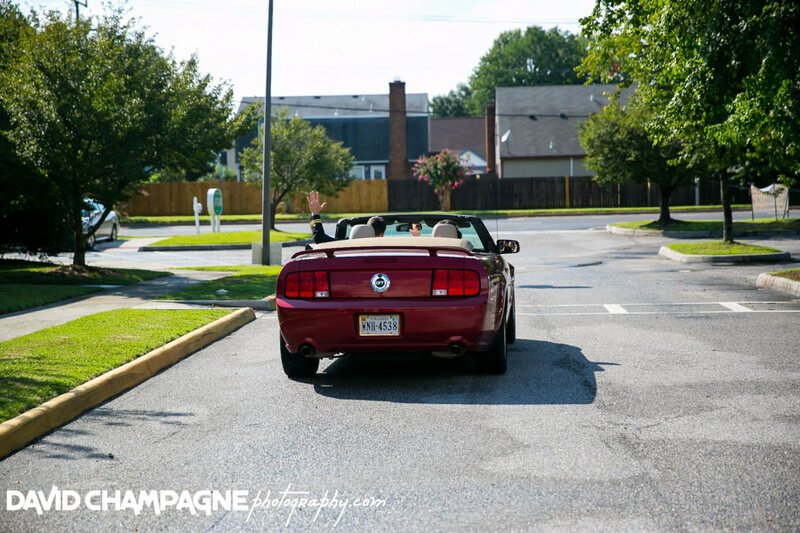 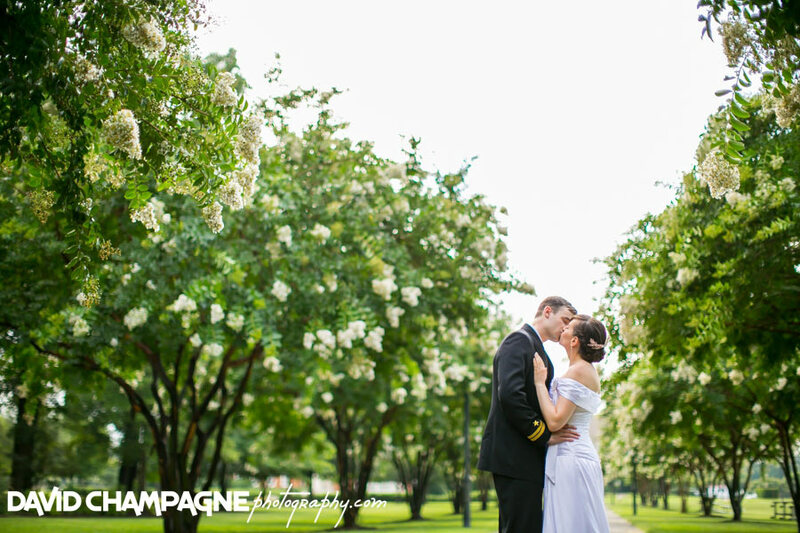 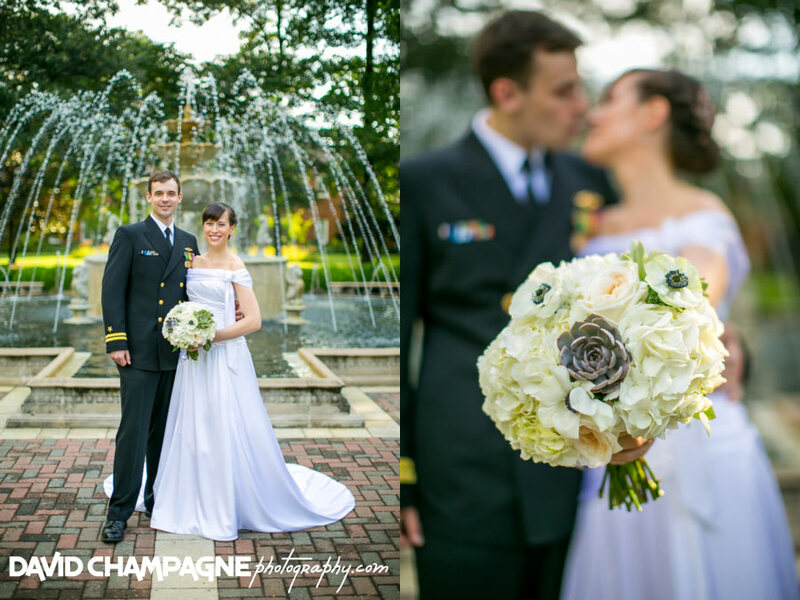 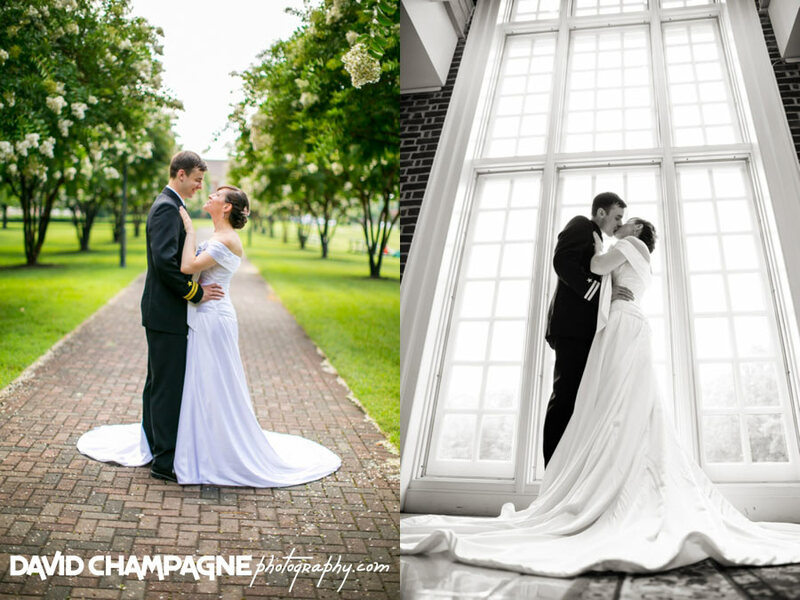 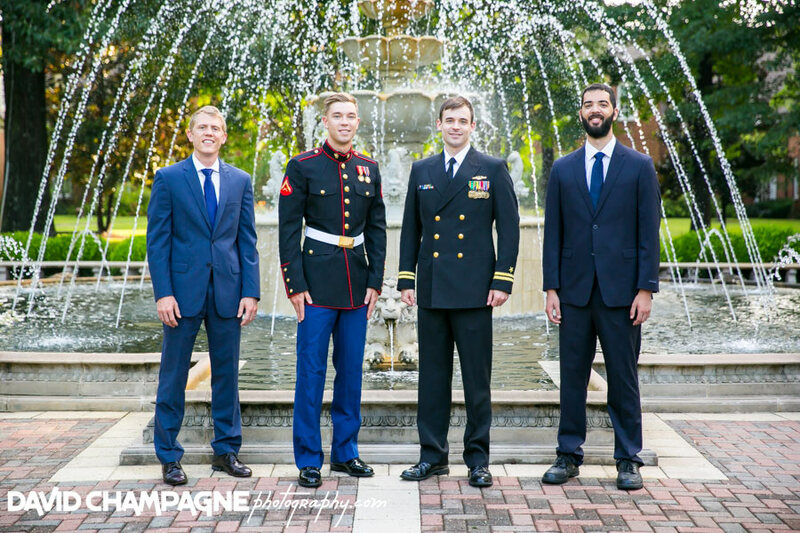 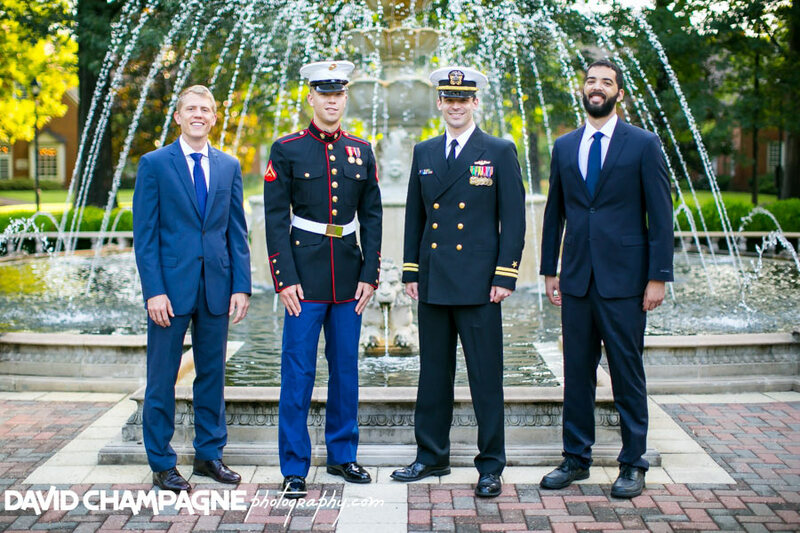 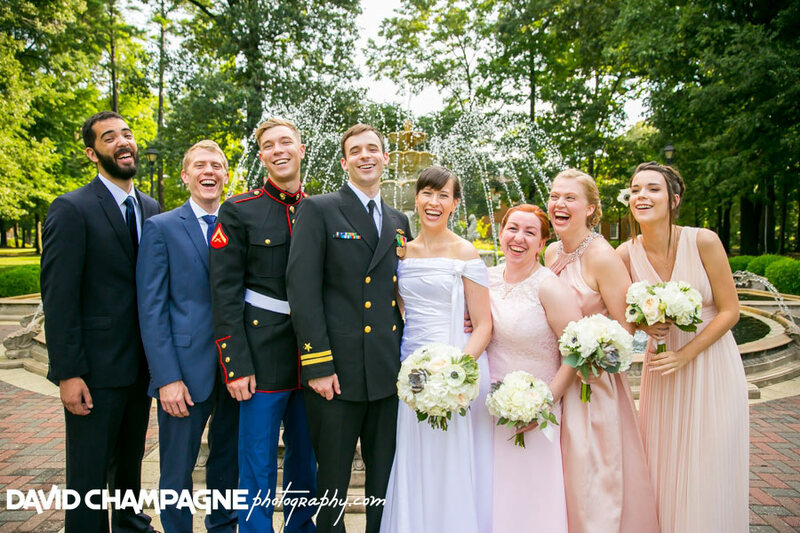 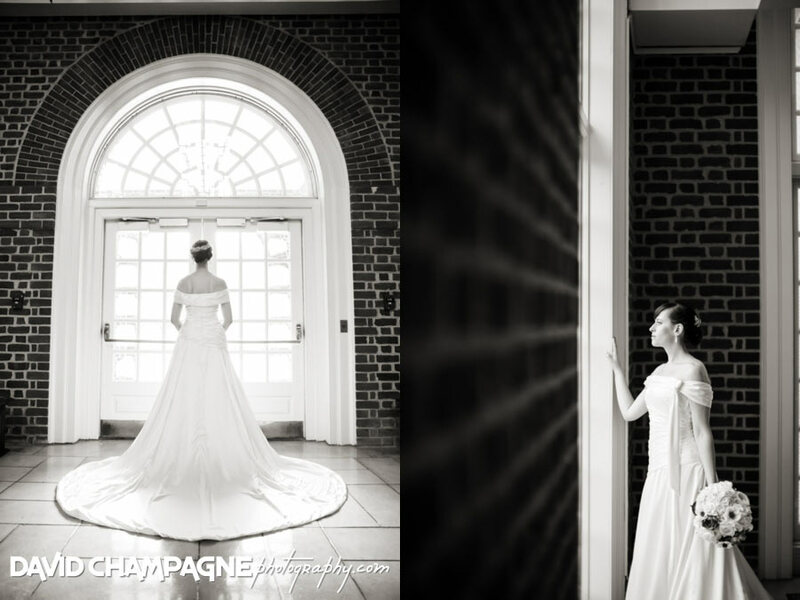 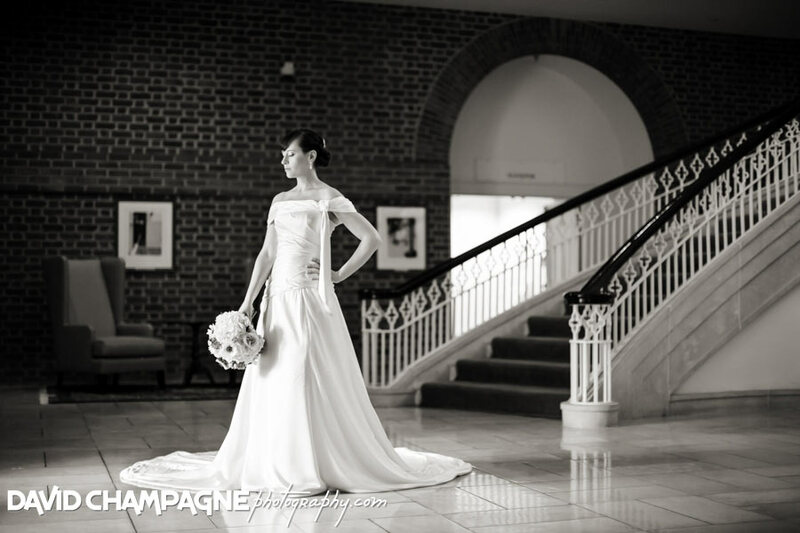 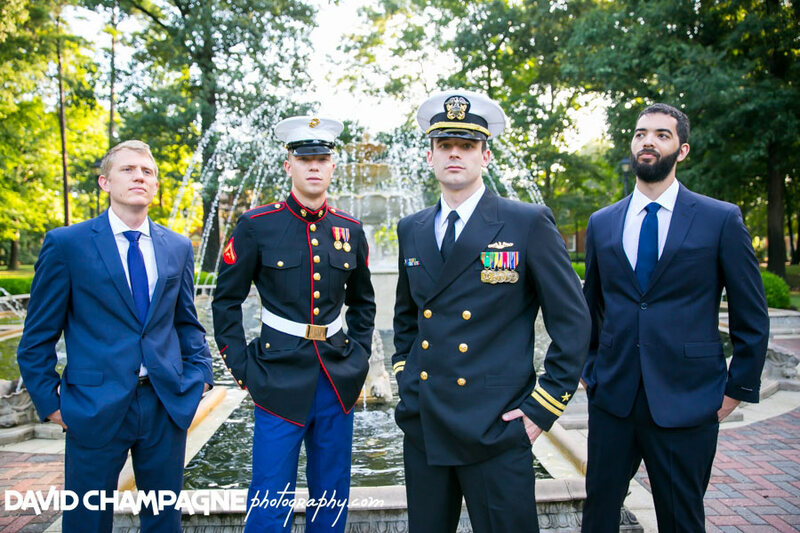 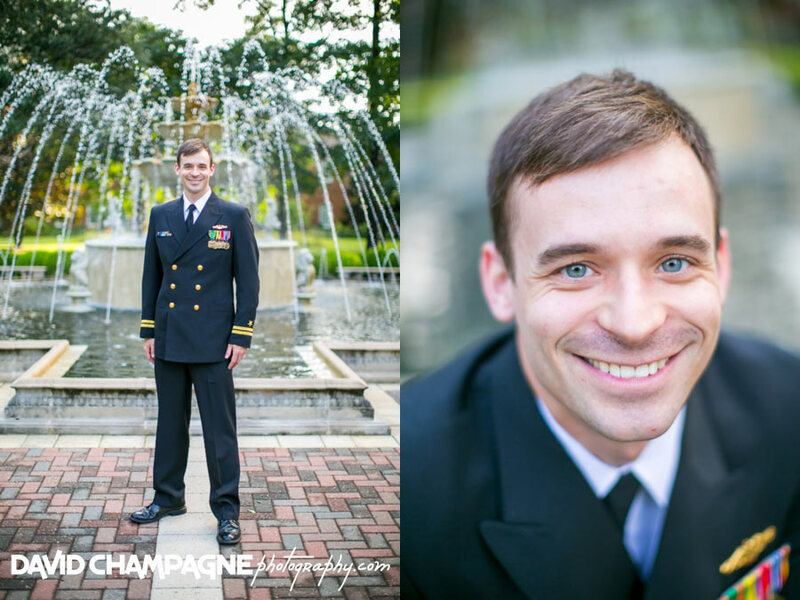 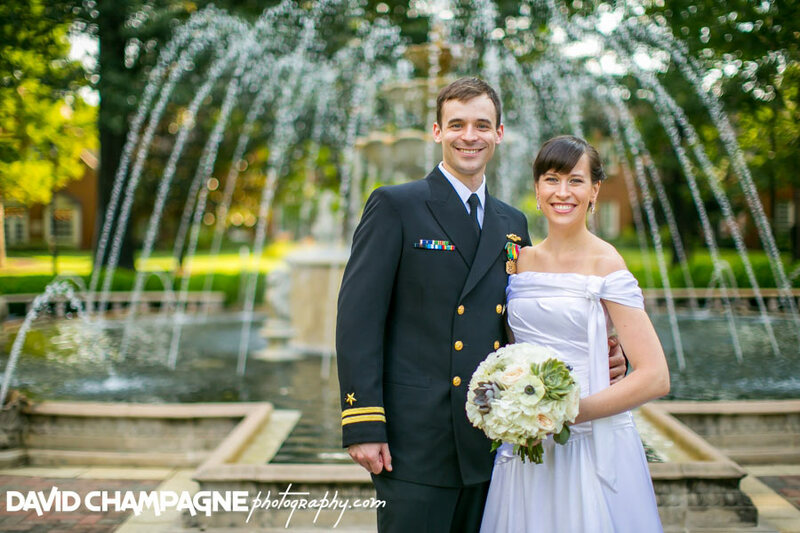 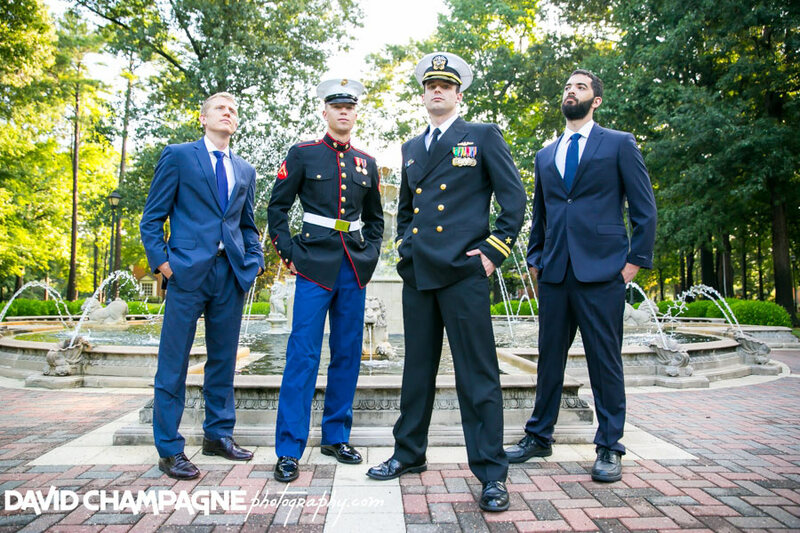 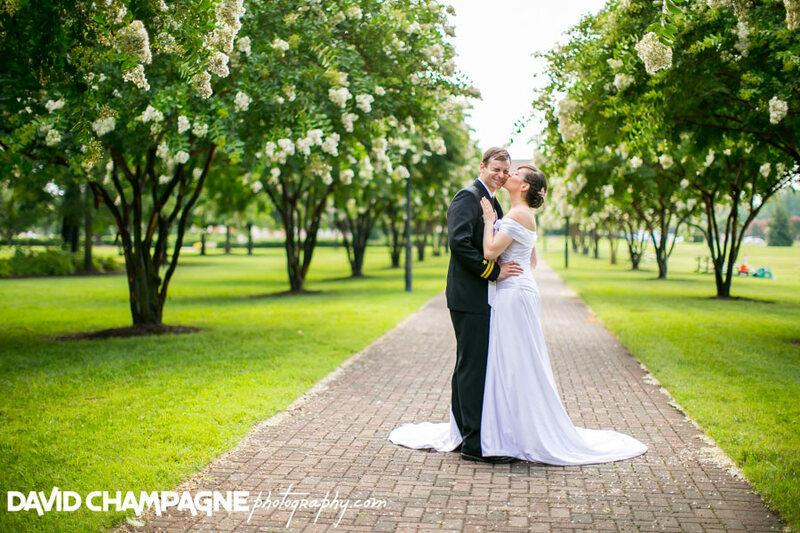 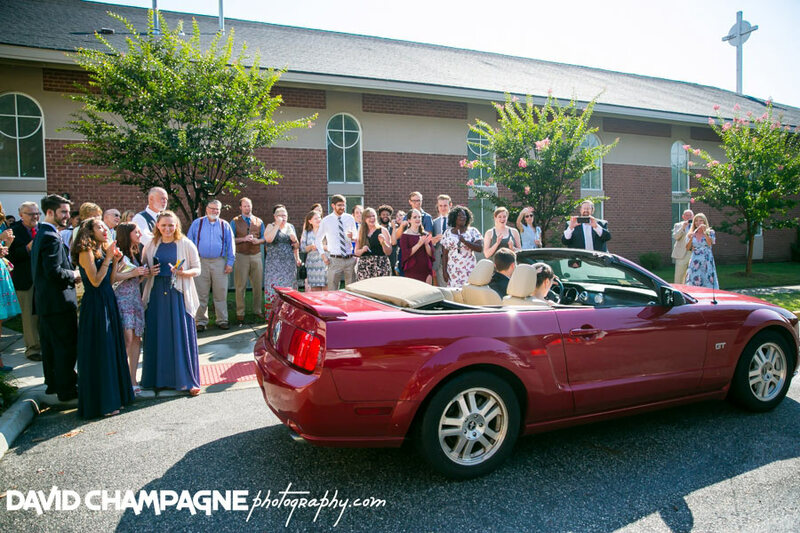 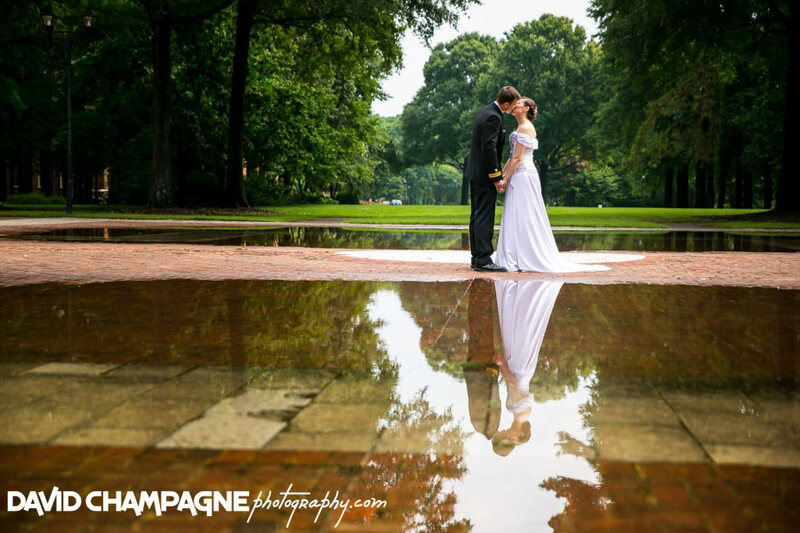 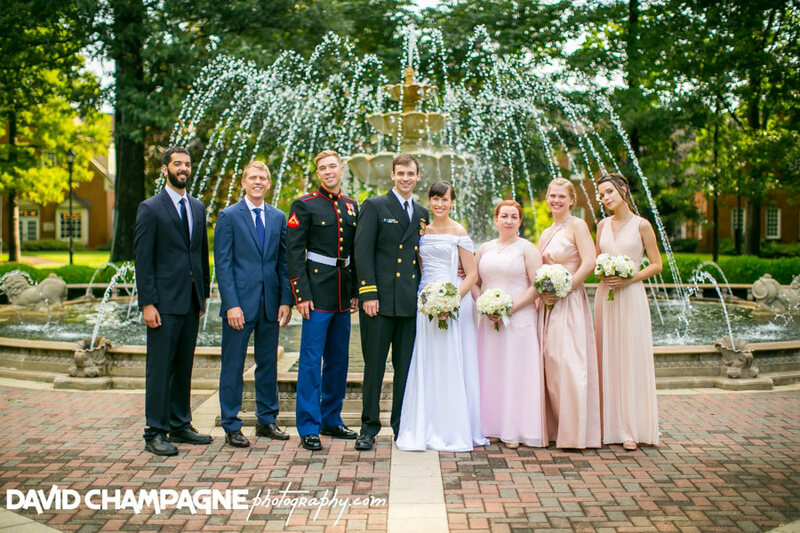 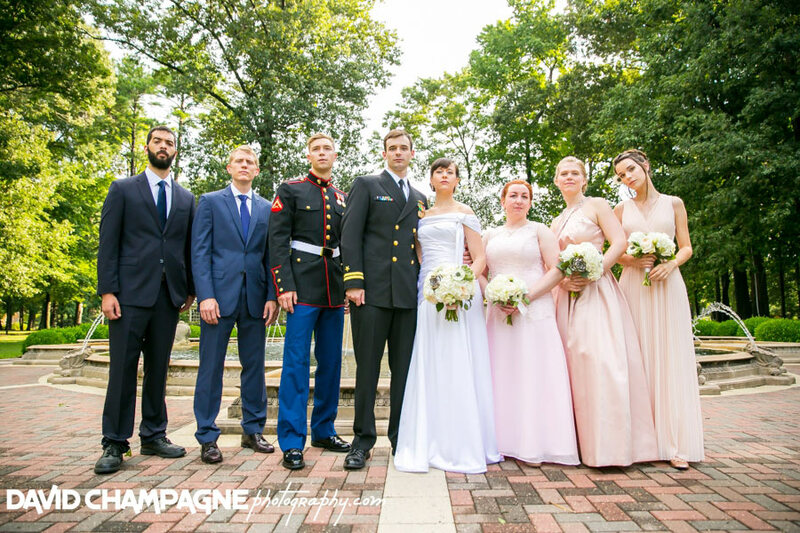 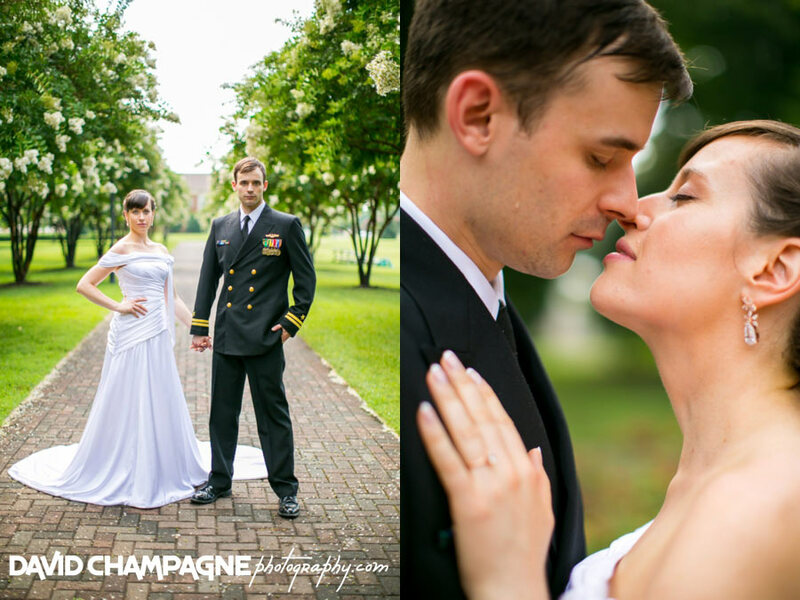 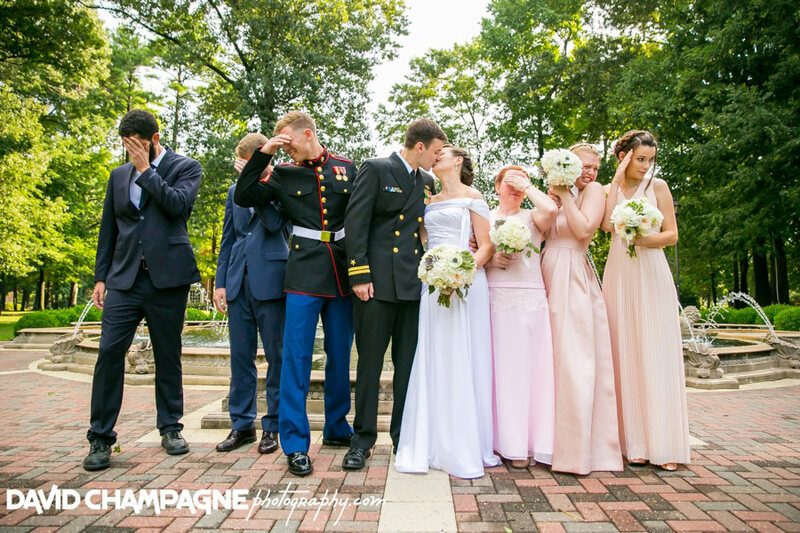 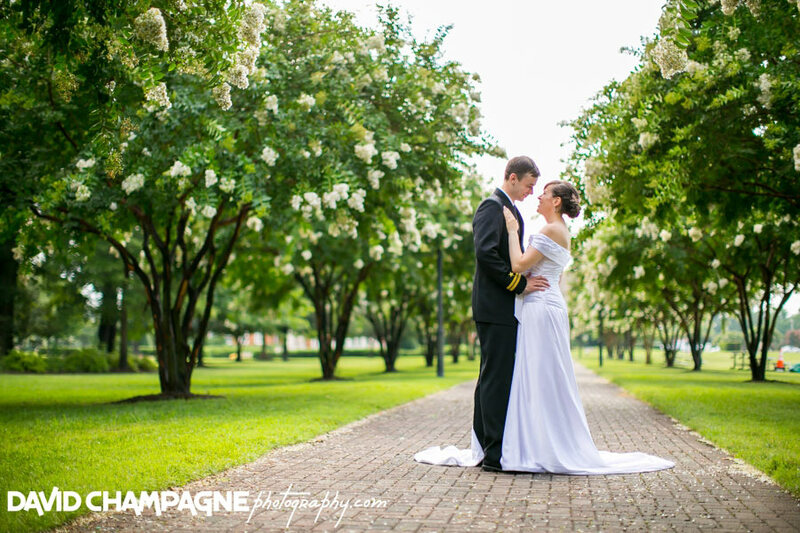 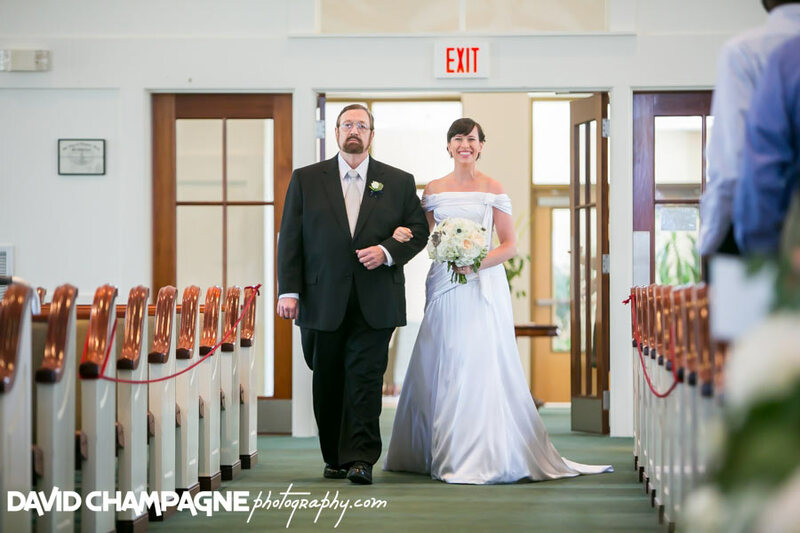 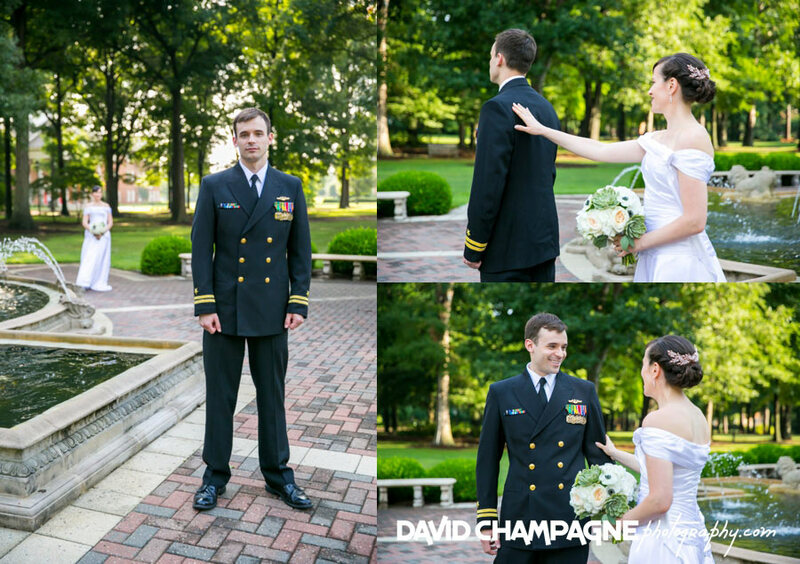 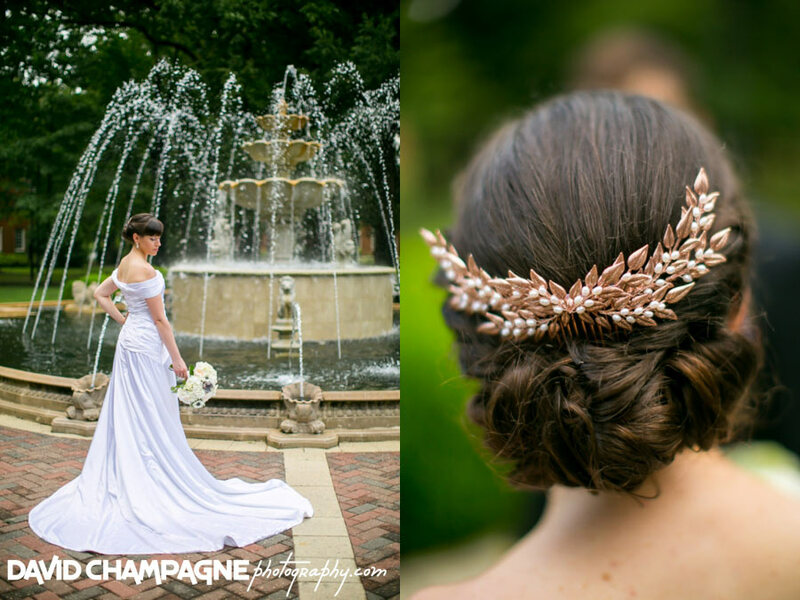 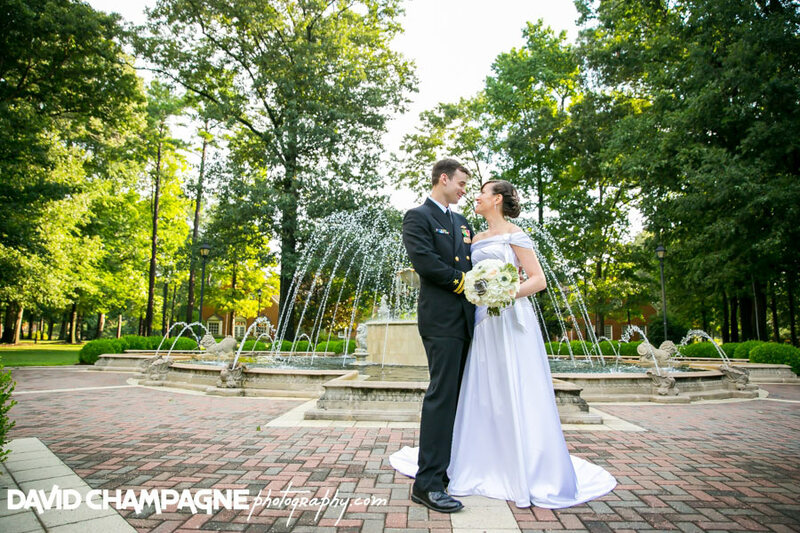 Marji and Alex took their wedding portraits on the campus of Regent University. 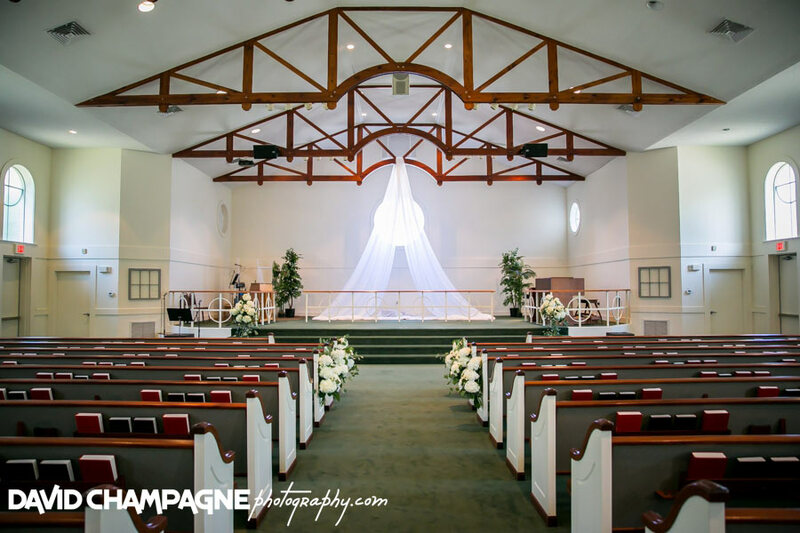 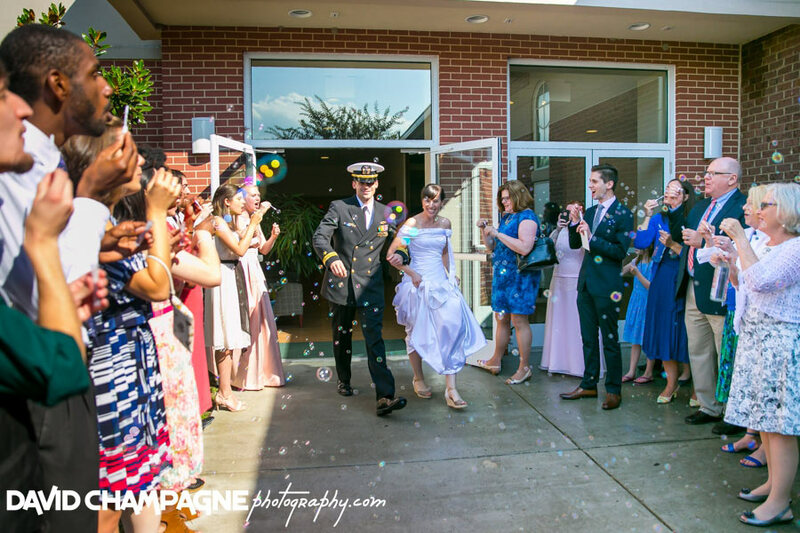 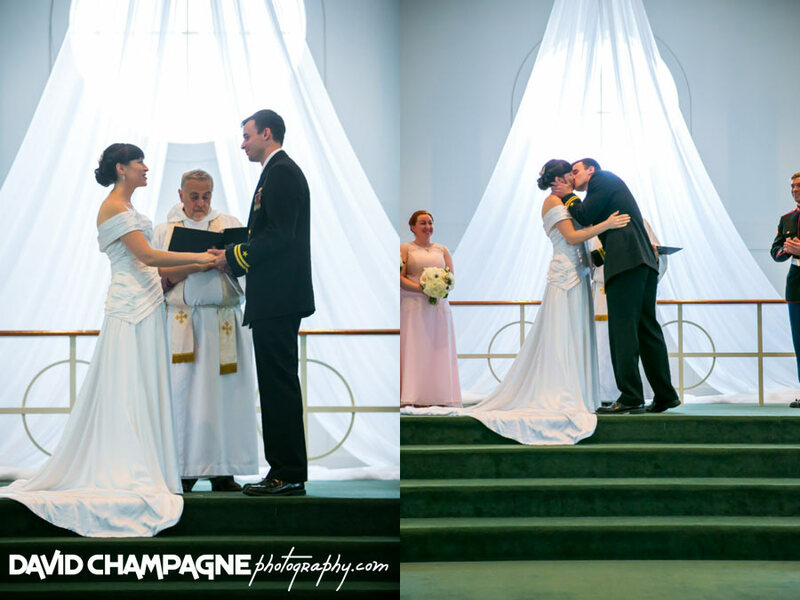 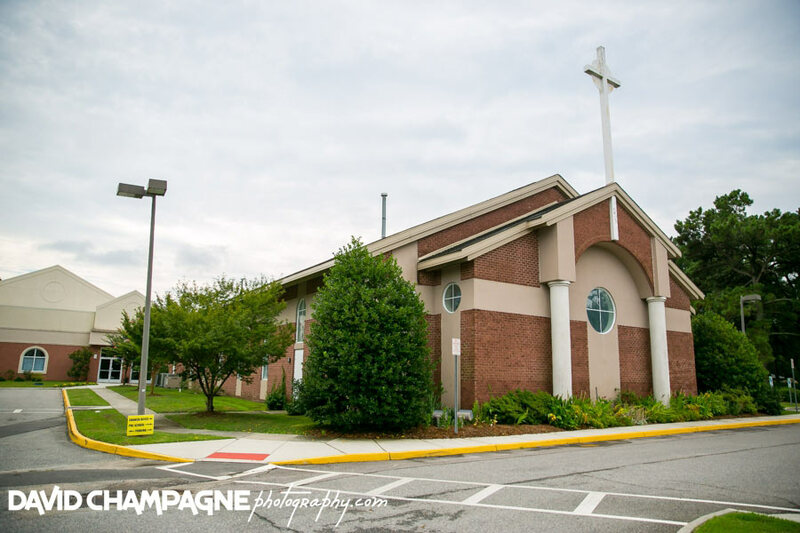 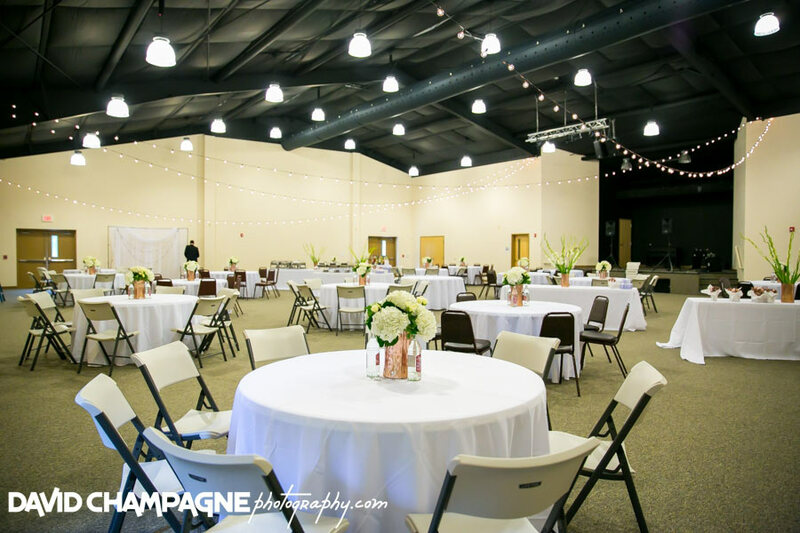 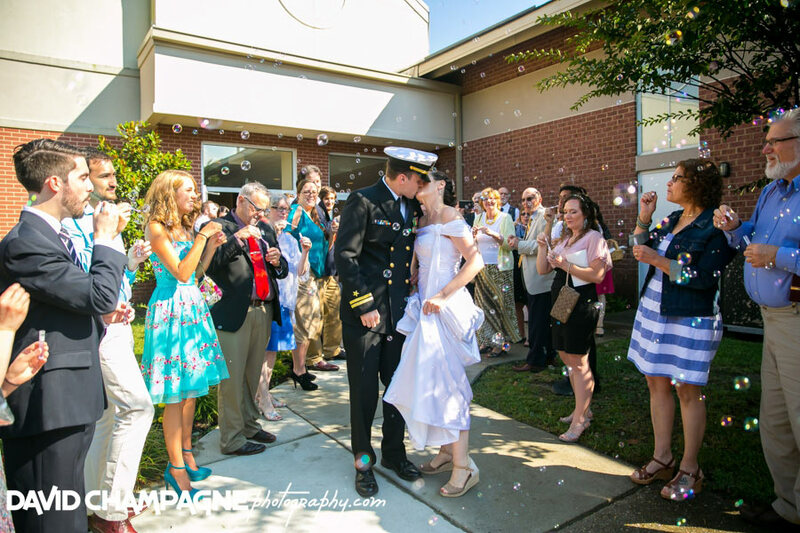 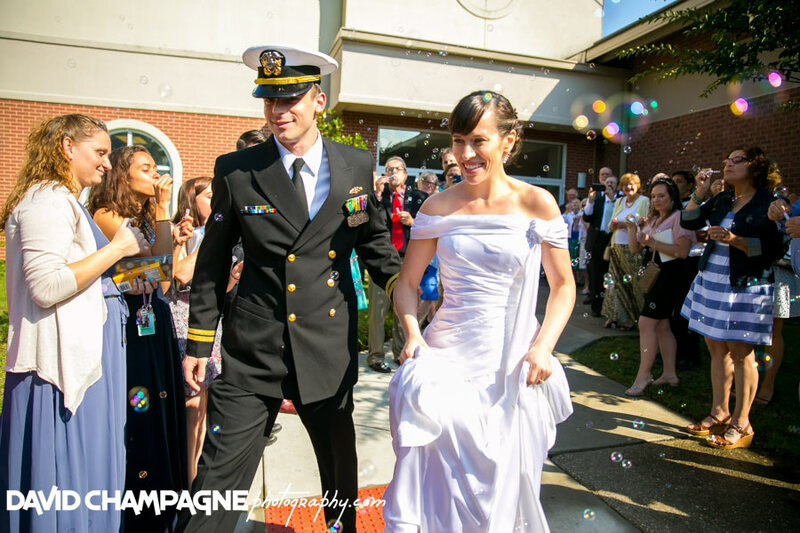 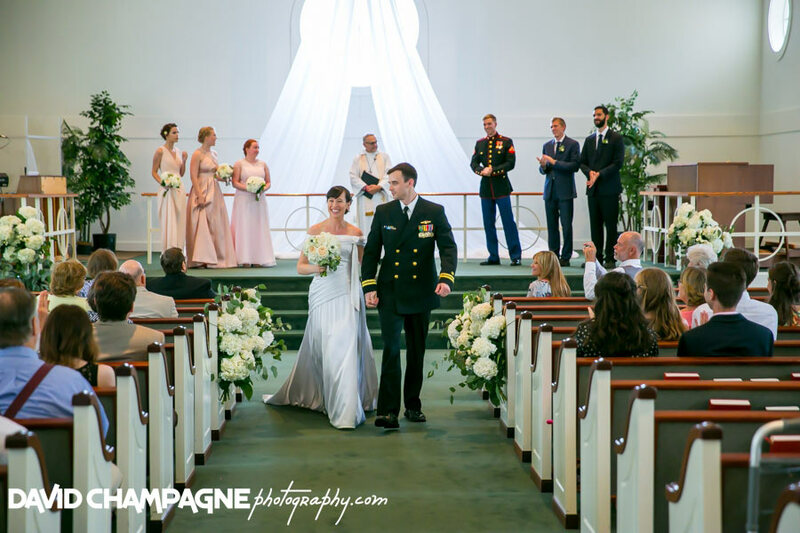 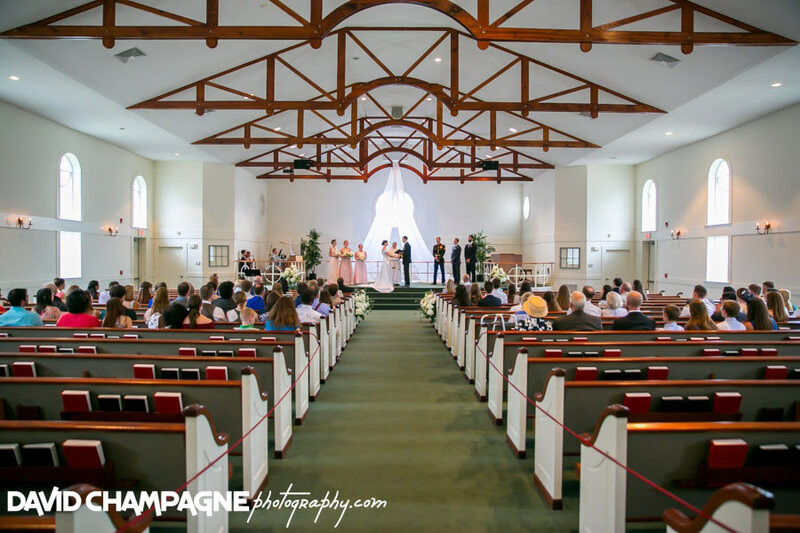 They had their wedding ceremony at the New Covenant Presbyterian Church in Virginia Beach.Check out the following links to view their Wedding Slideshow, Online Gallery, and Facebook Post in a new window and feel free to leave comments! 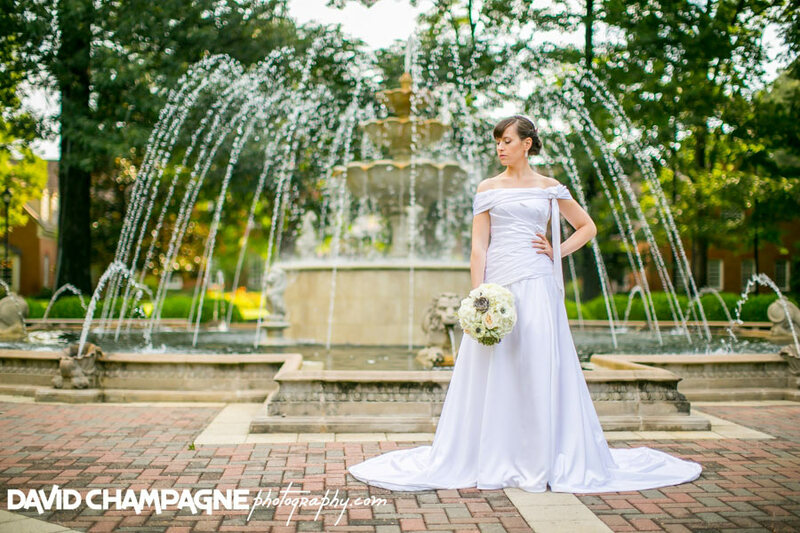 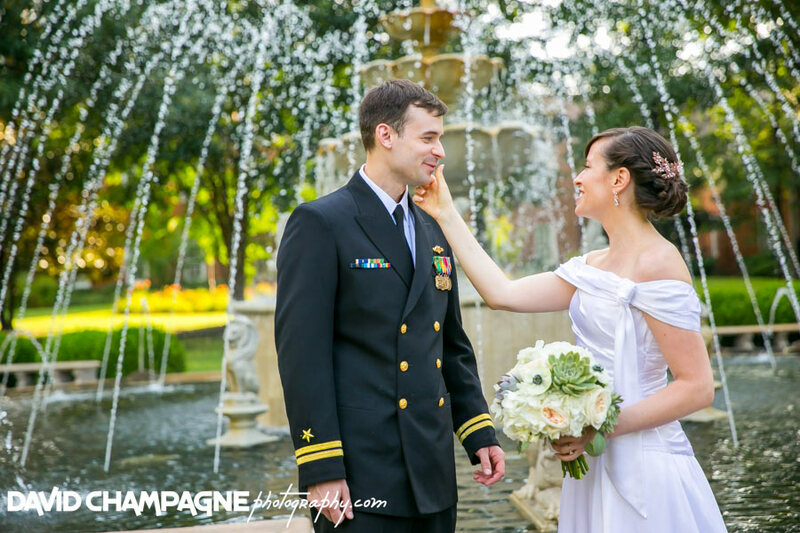 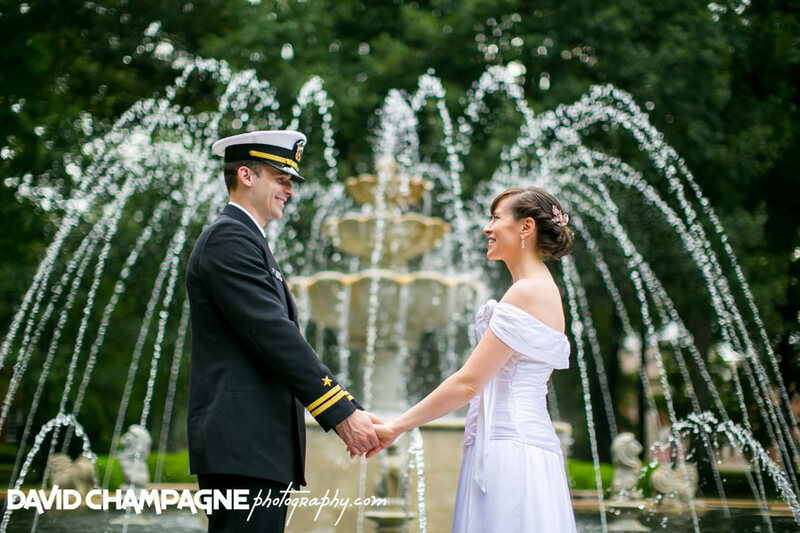 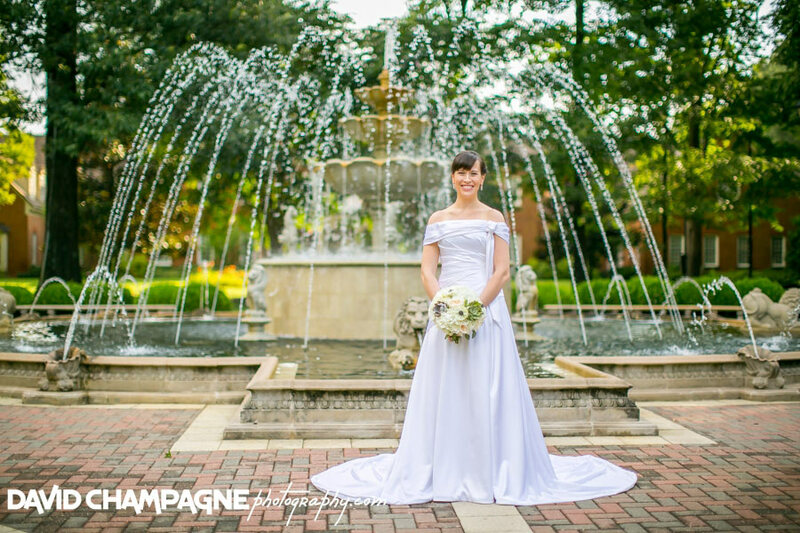 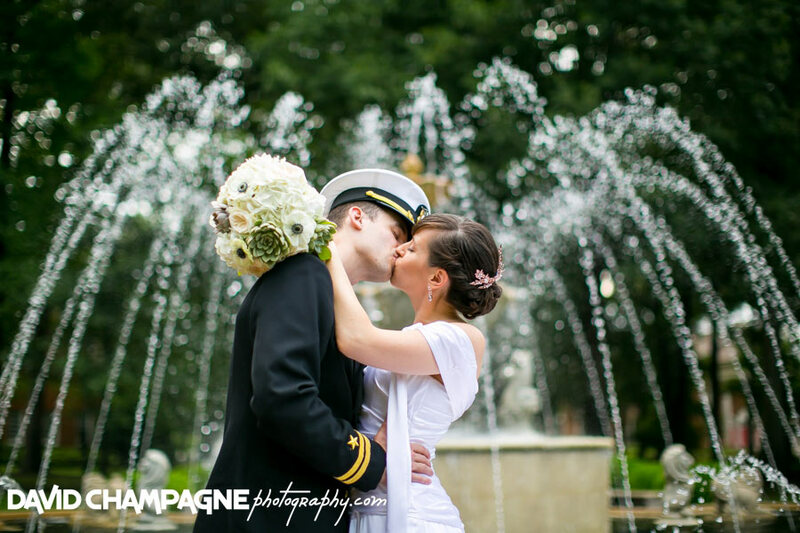 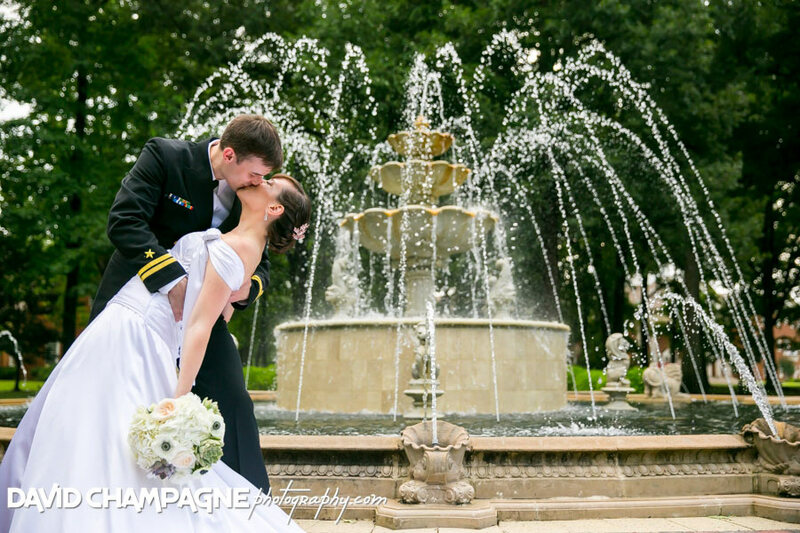 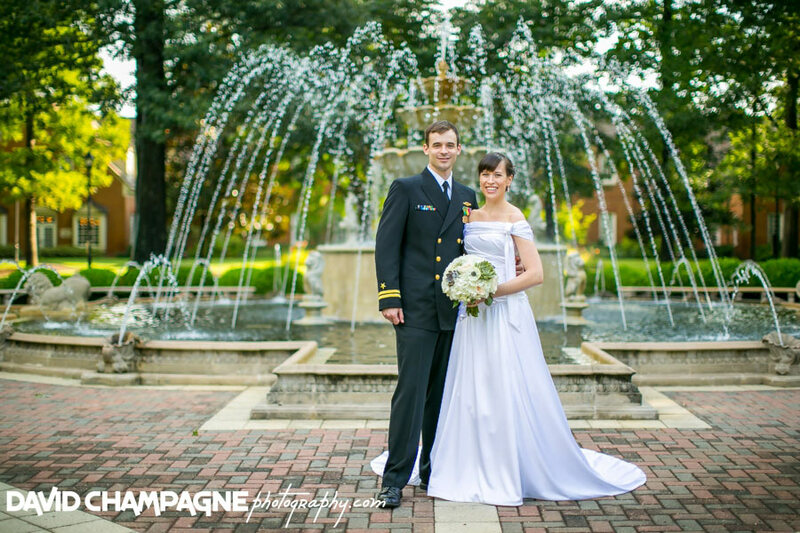 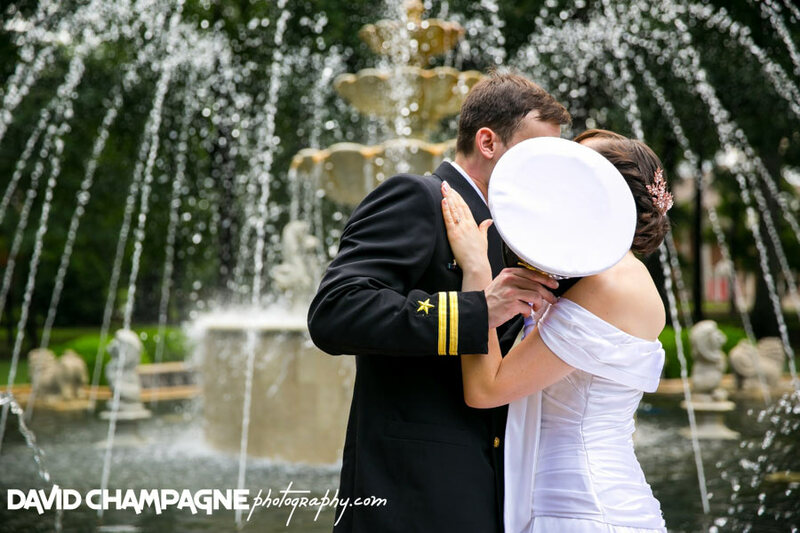 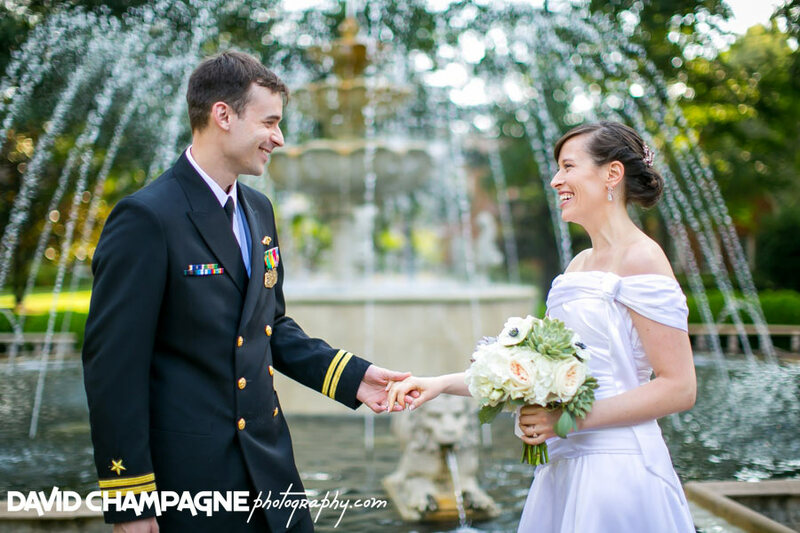 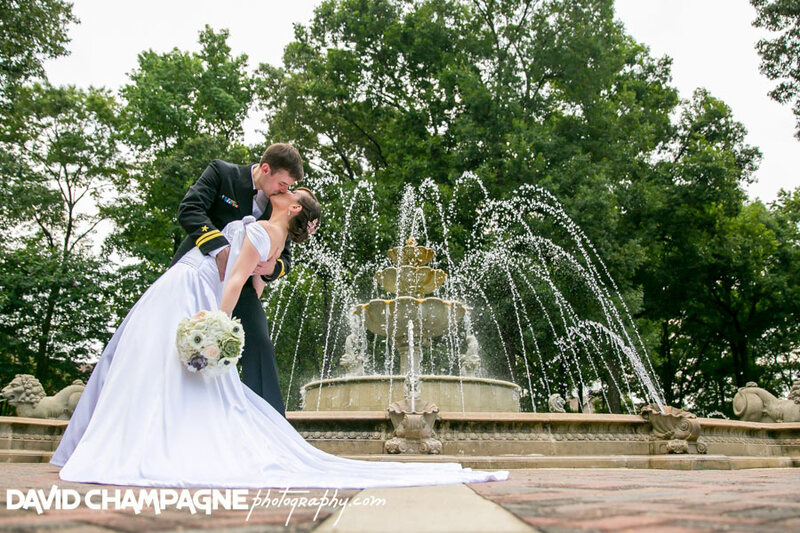 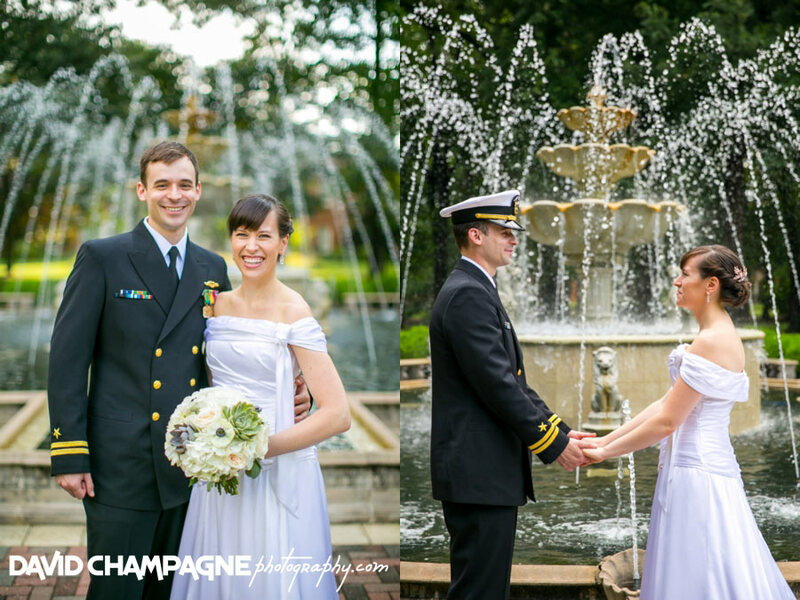 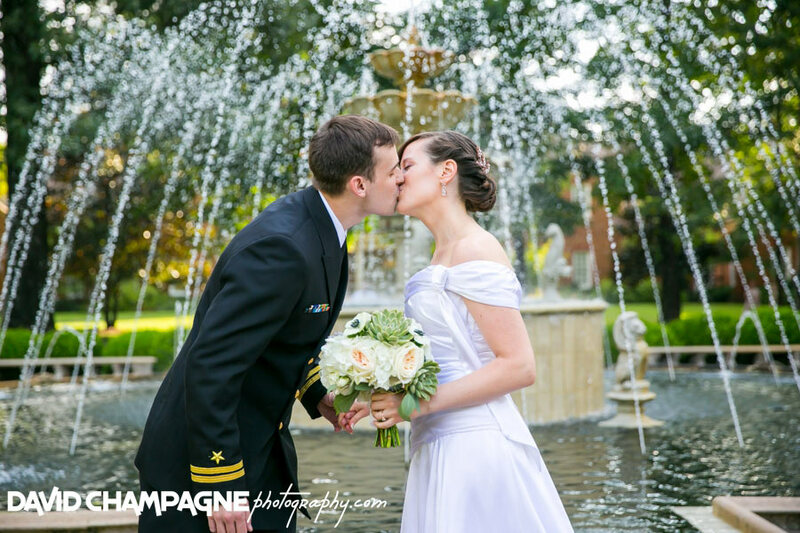 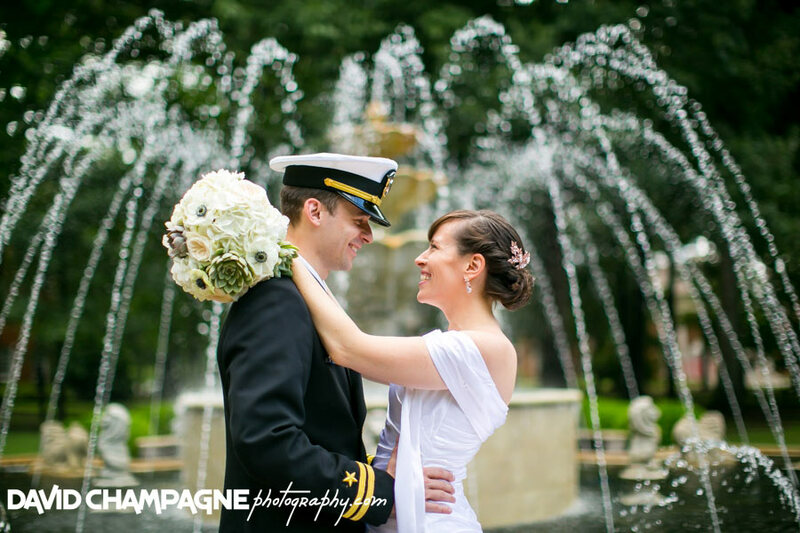 Marji and Alex decided to have a first look at the fountain on the campus of Regent University. 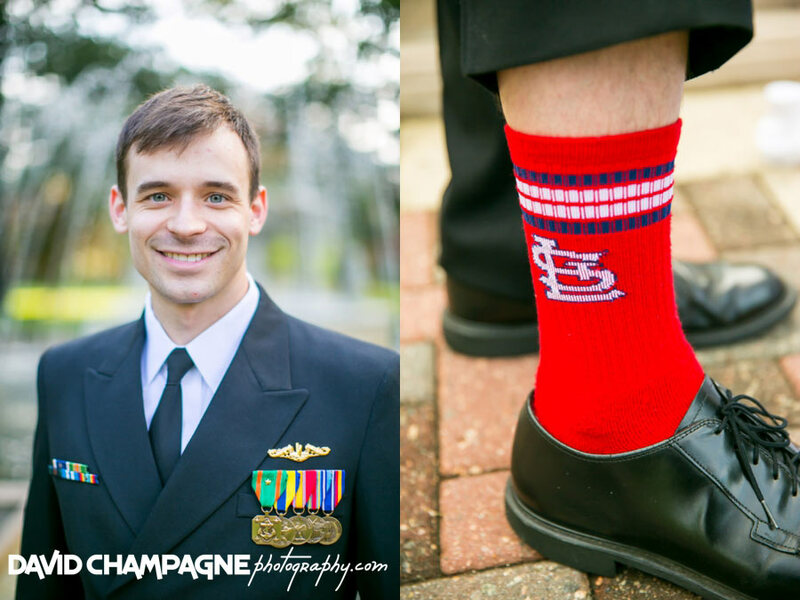 The groom wore socks representing his favorite team. 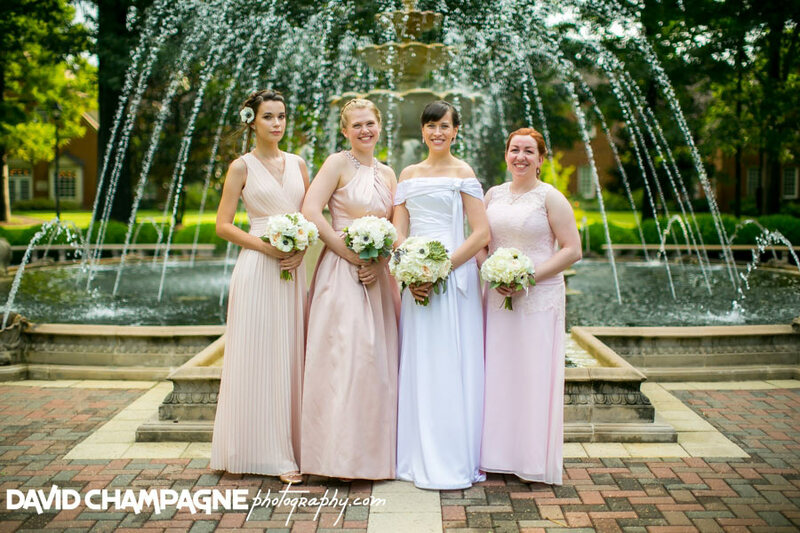 Also, the bride’s dress was couture gown made by one of her bridesmaids. 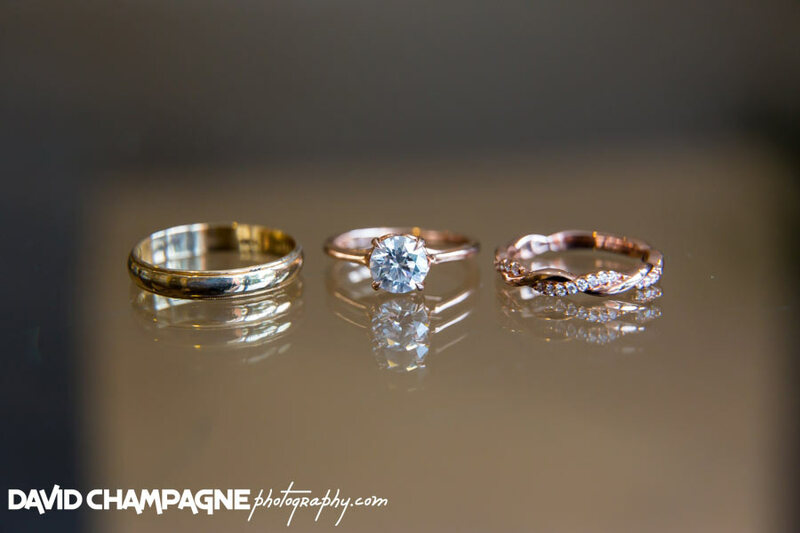 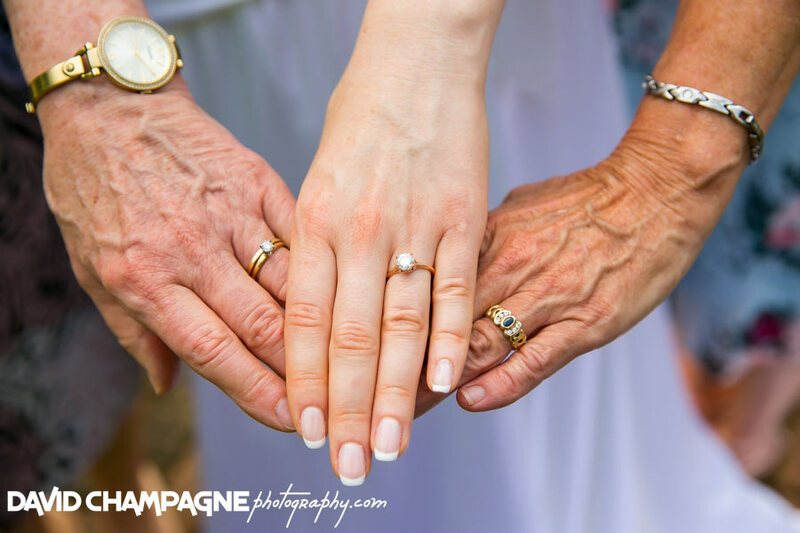 The bride’s wedding bands were rose gold. 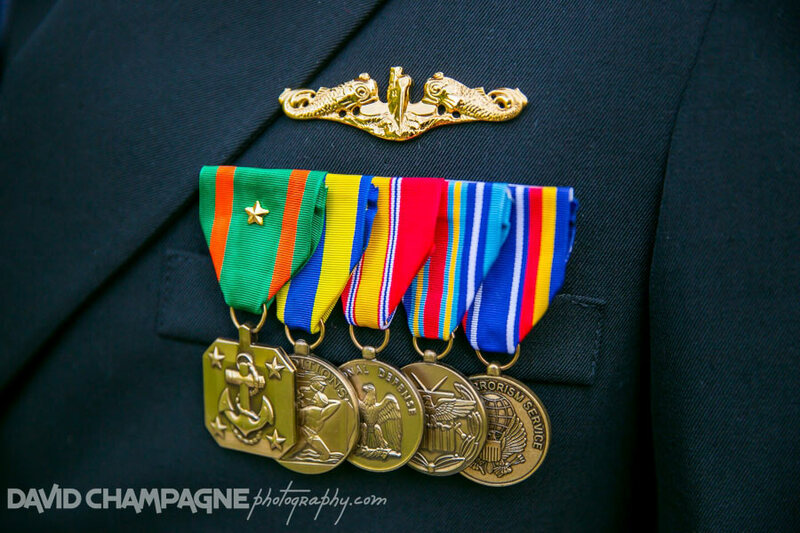 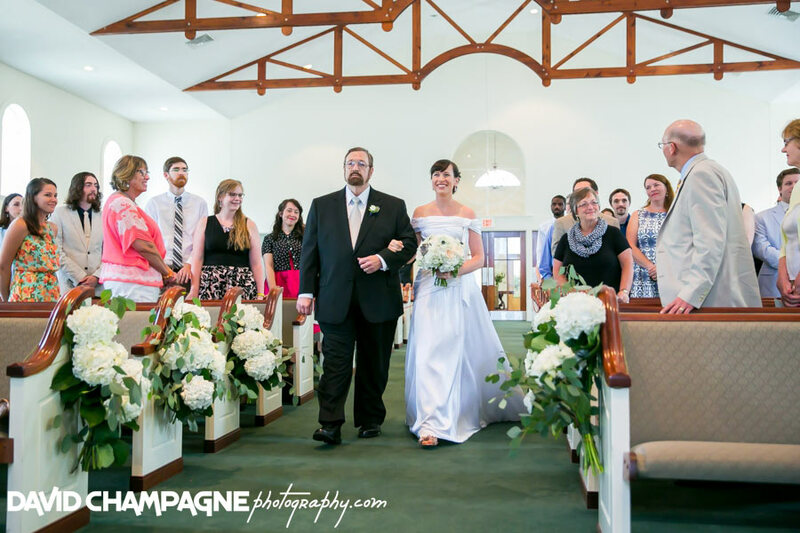 Also, the groom wore is great grandfather’s wedding band. 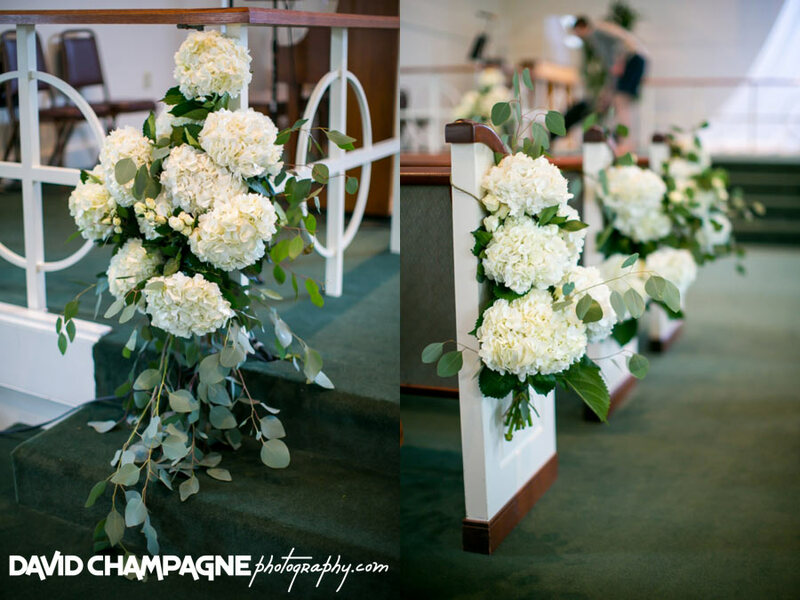 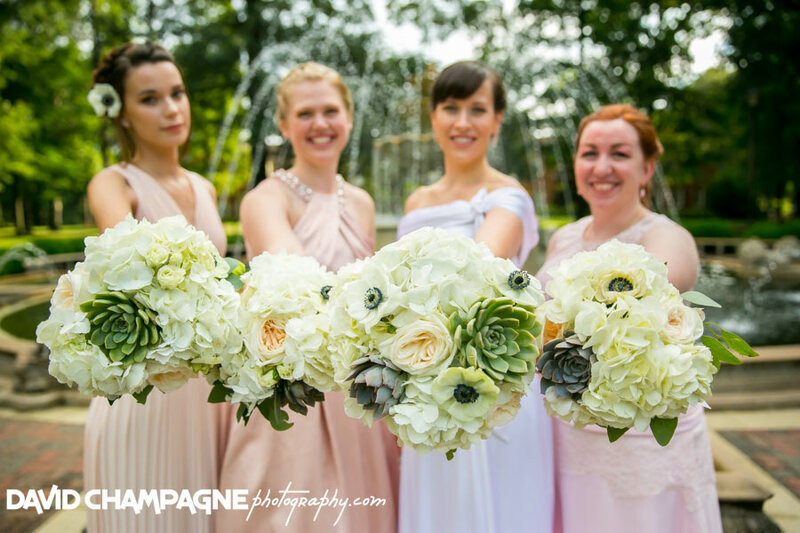 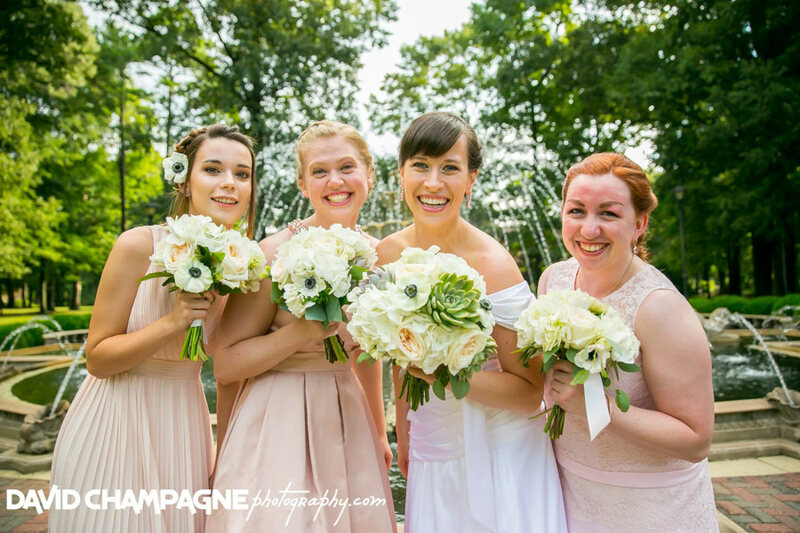 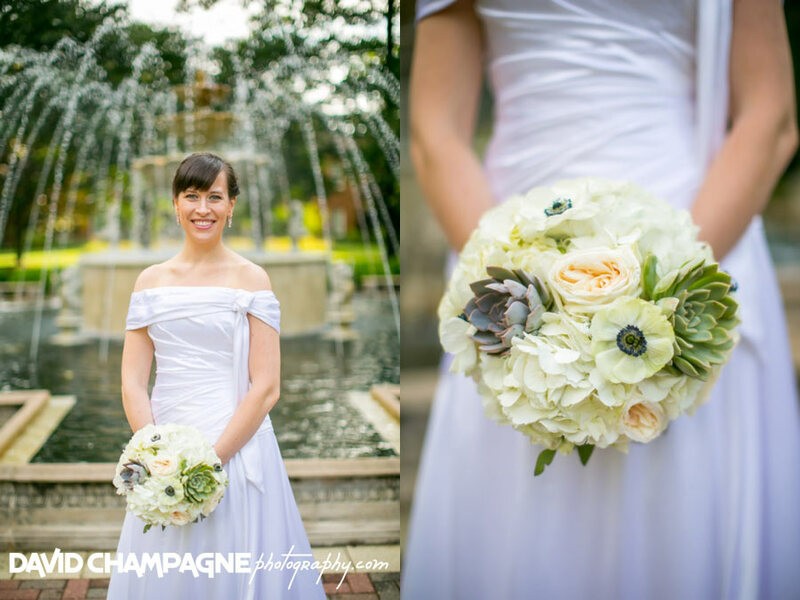 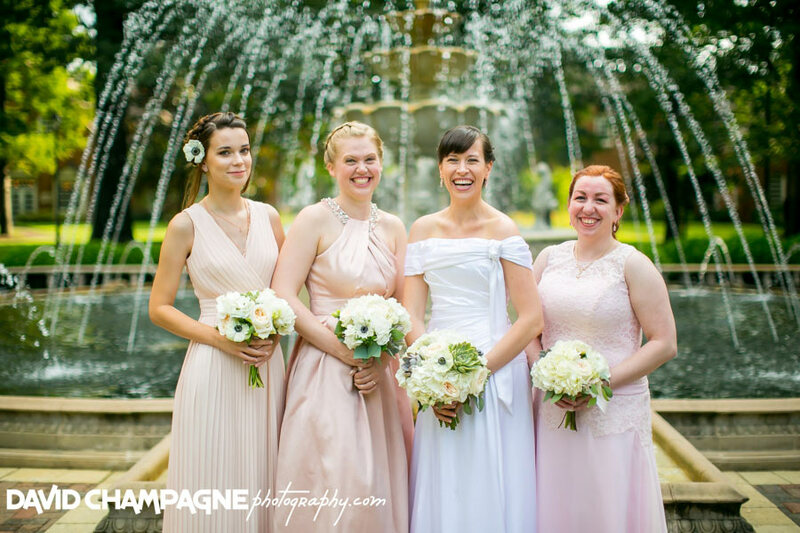 The bride held a stunning bouquet of roses, hydrangea, succulents, and anemone flowers. 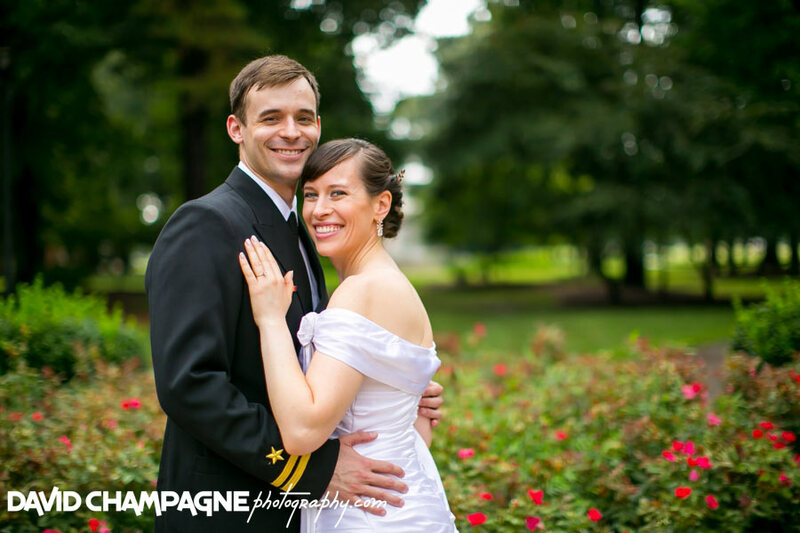 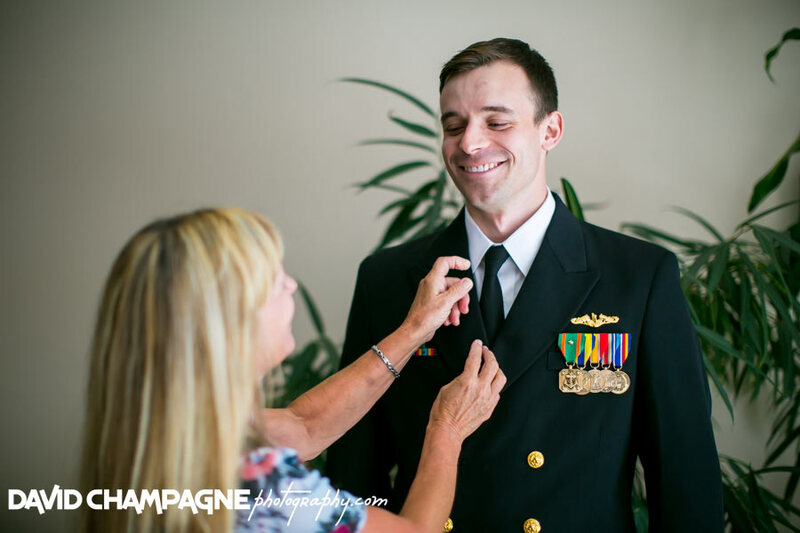 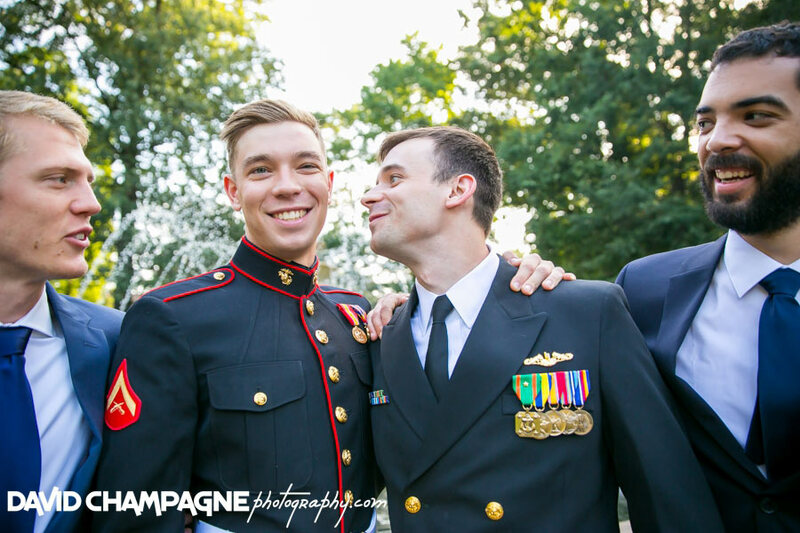 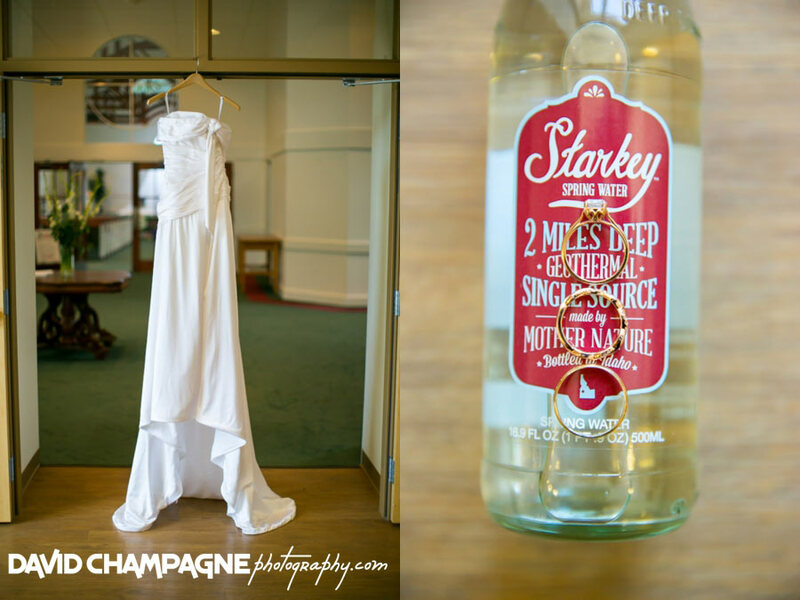 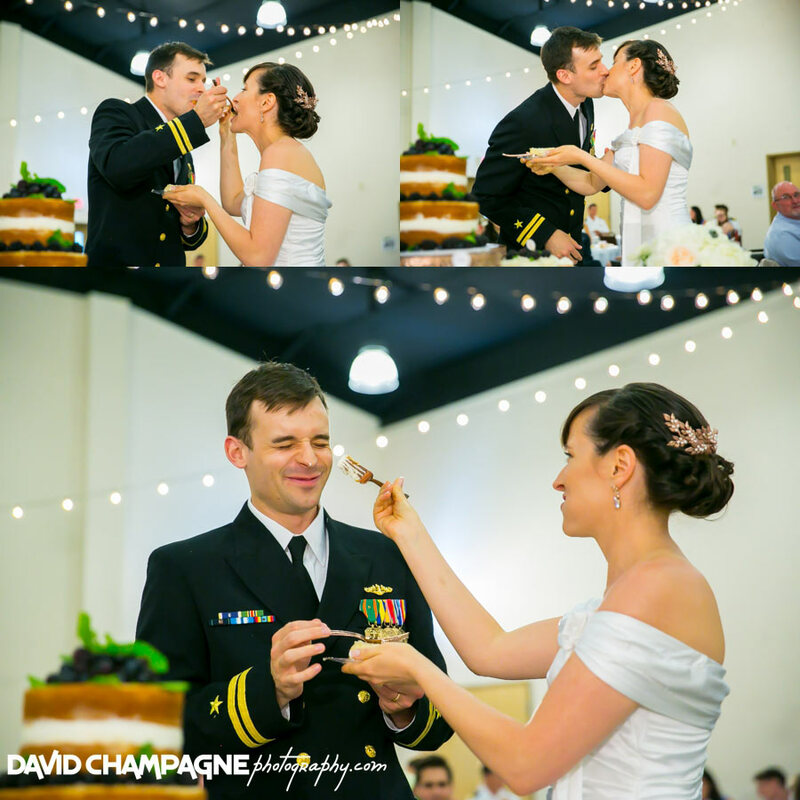 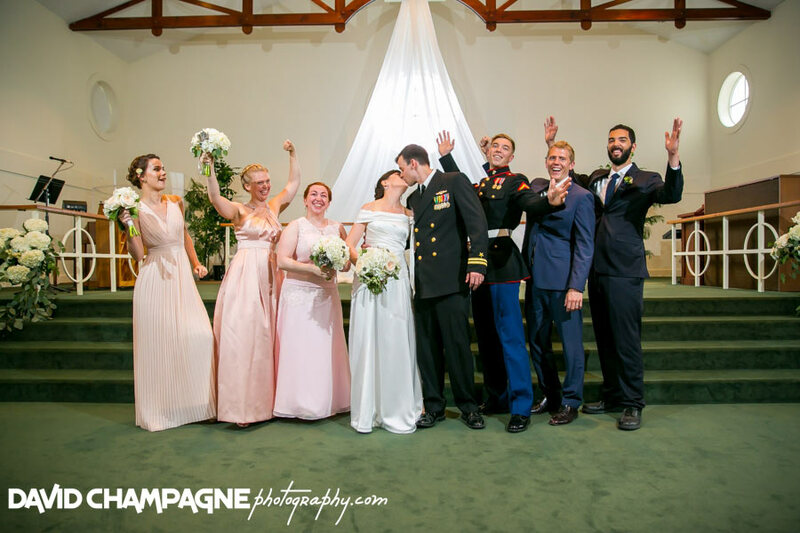 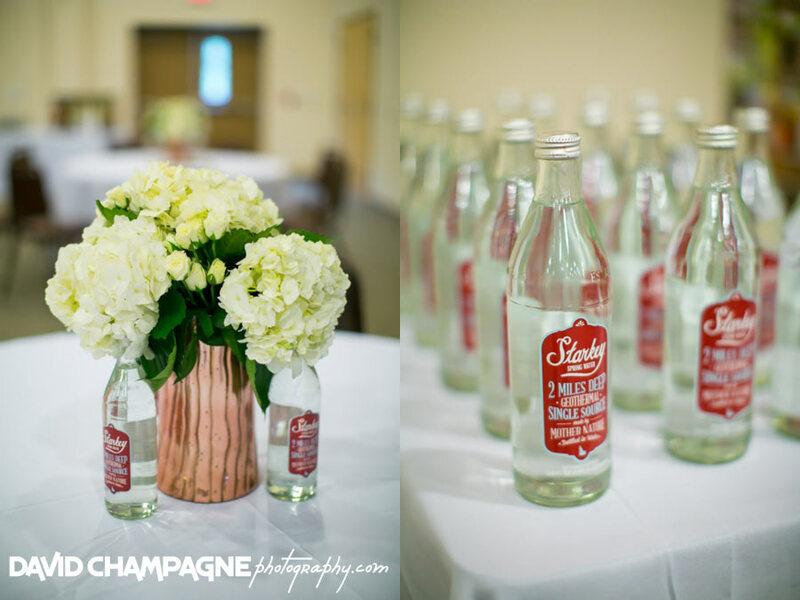 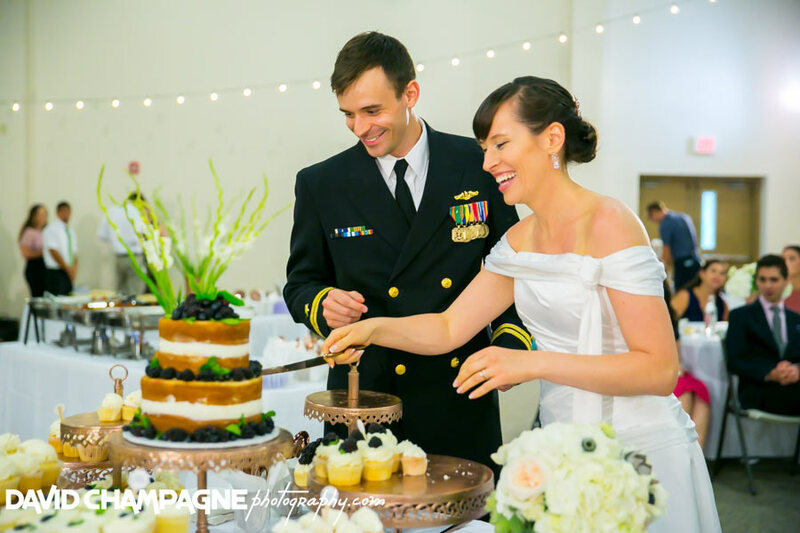 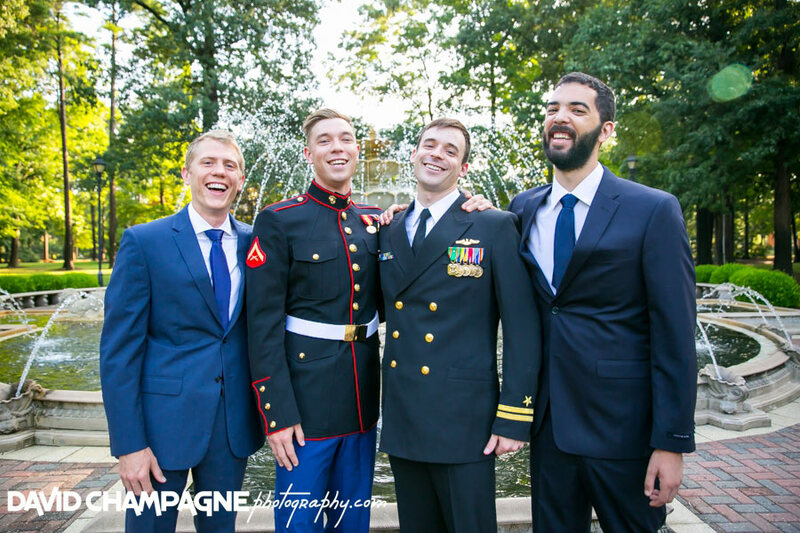 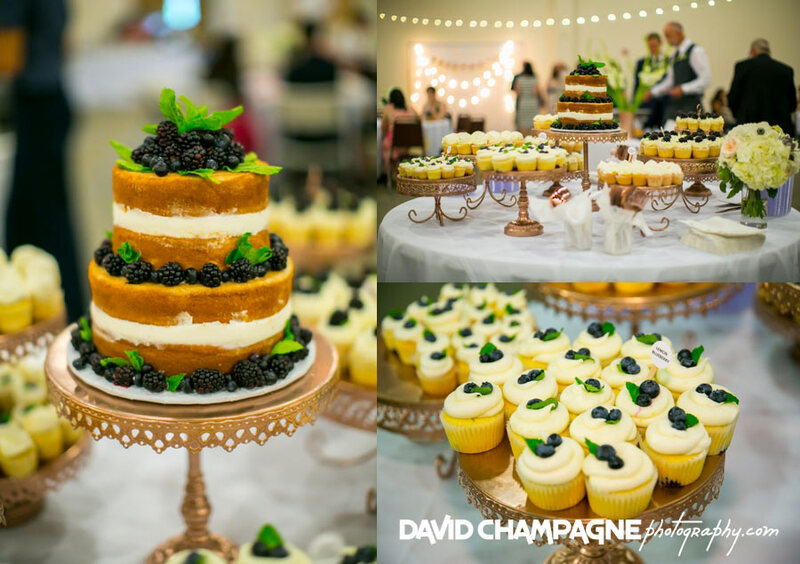 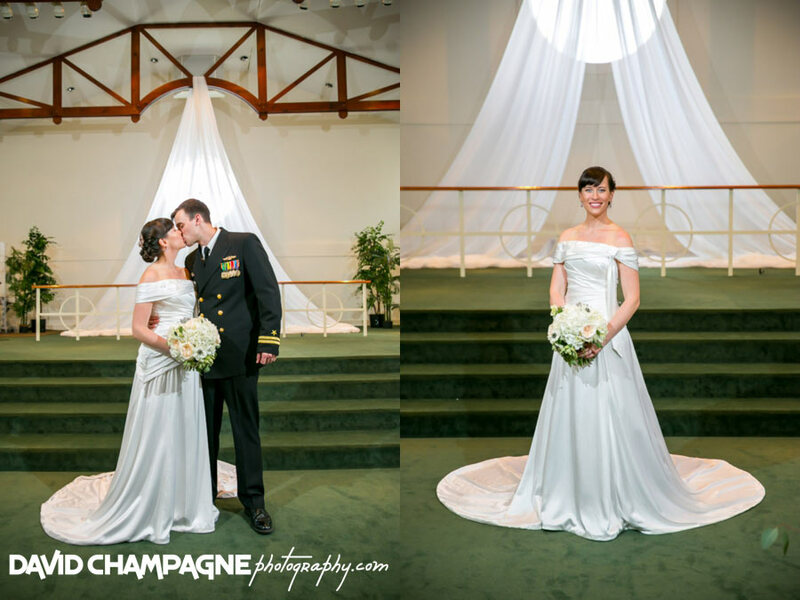 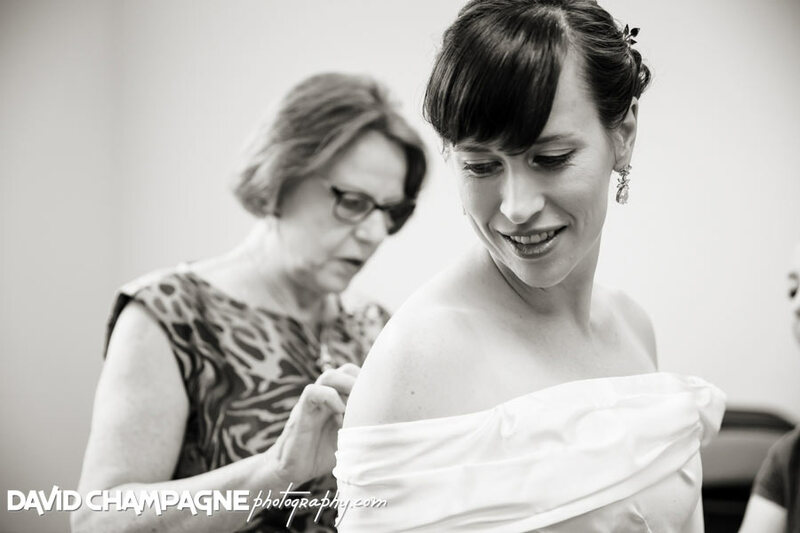 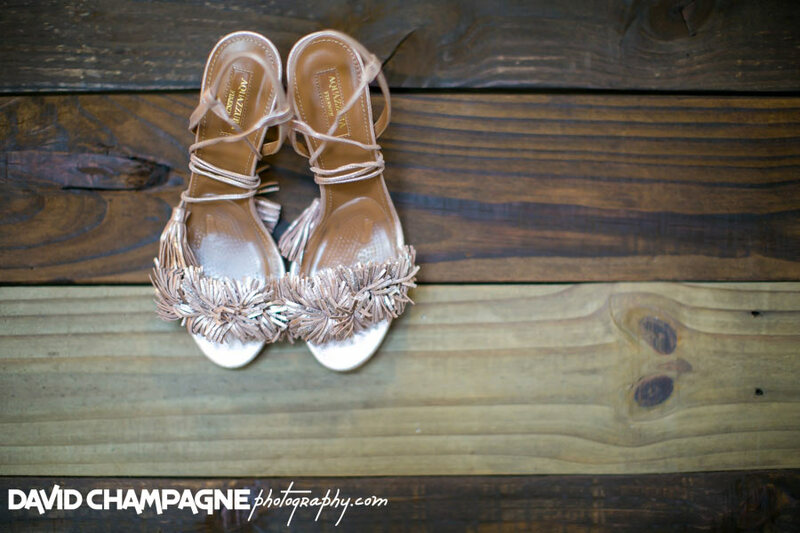 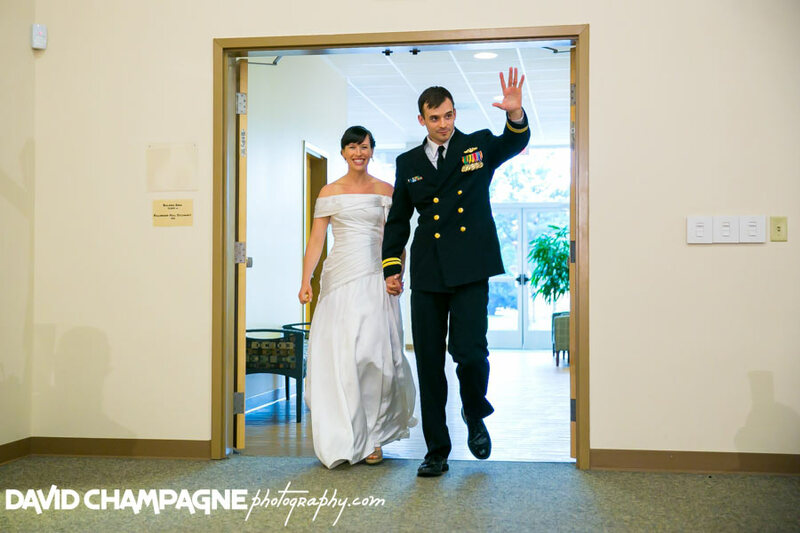 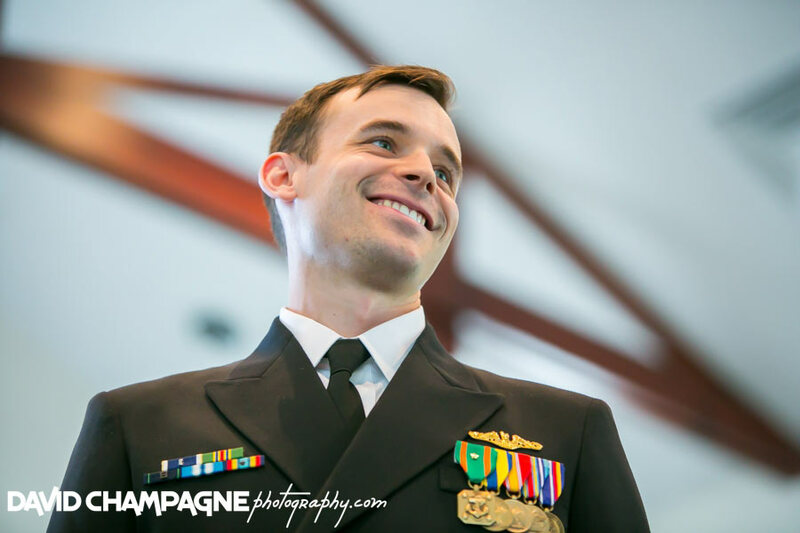 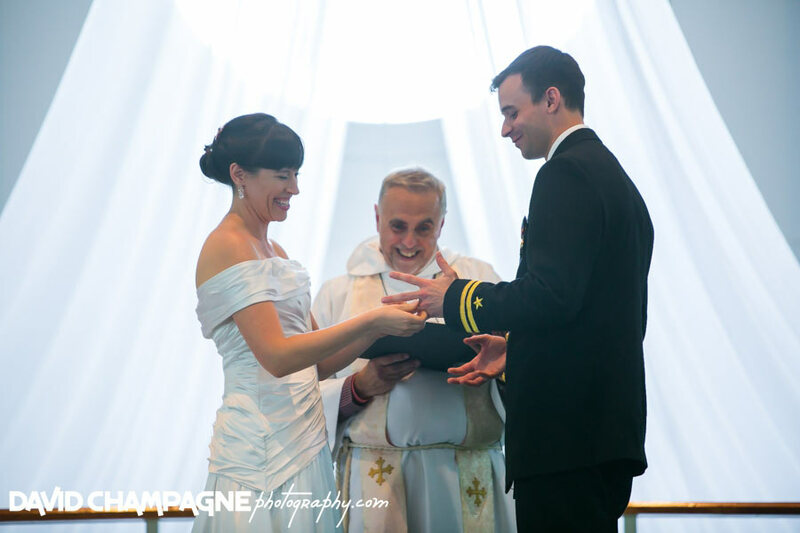 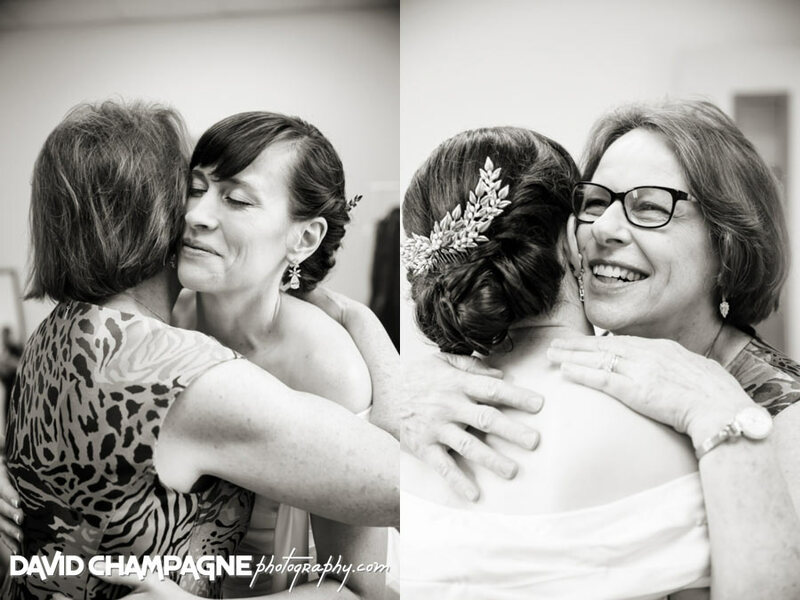 Check out Marji and Alex’s wedding slideshow!